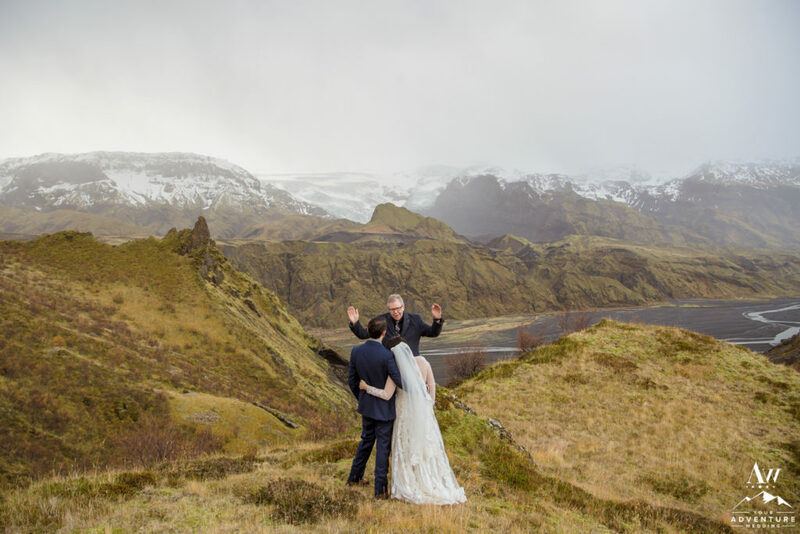 Although the mountains in Iceland are not crazy high, they can hold their own! 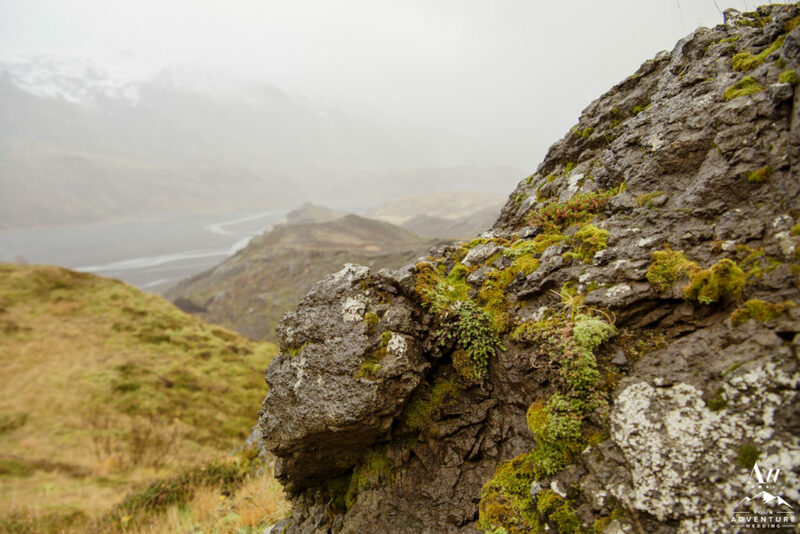 The tallest mountain on the island is 6,920 ft (it’s named Hvannadalshnúkur). 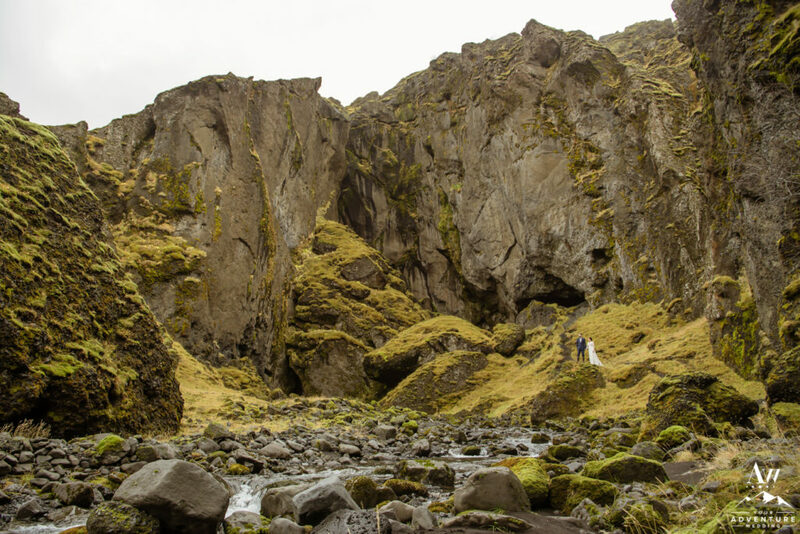 It may seem small in comparison to the size of mountains throughout the rest of the world. 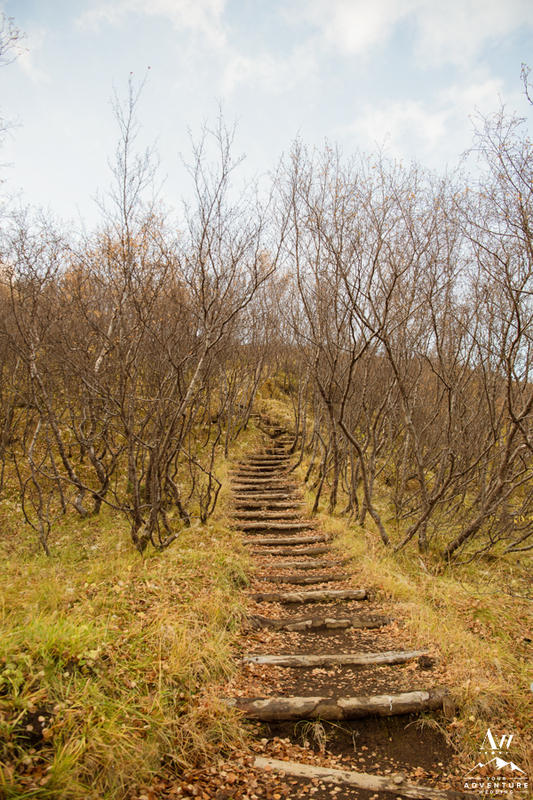 But the fact you can easily hike most of them within a few hours. 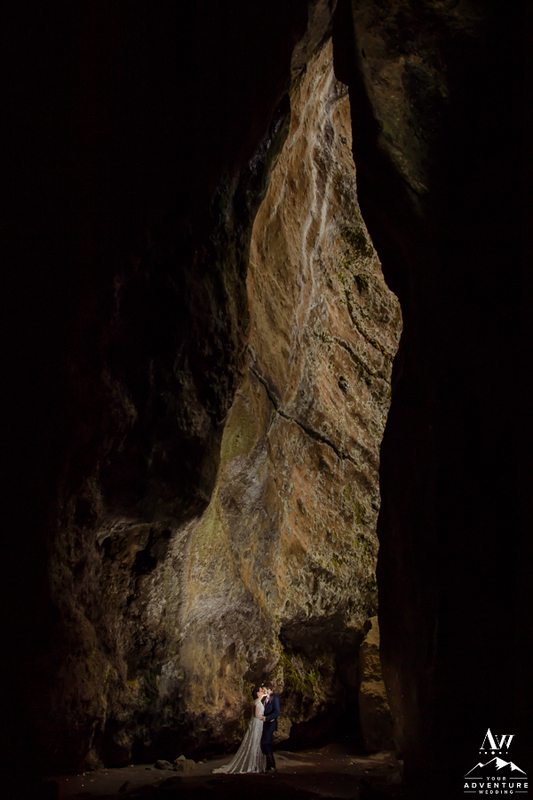 And at max 8-12 hours is actually quite encouraging if you’re not an avid hiker, but like the views that come with. 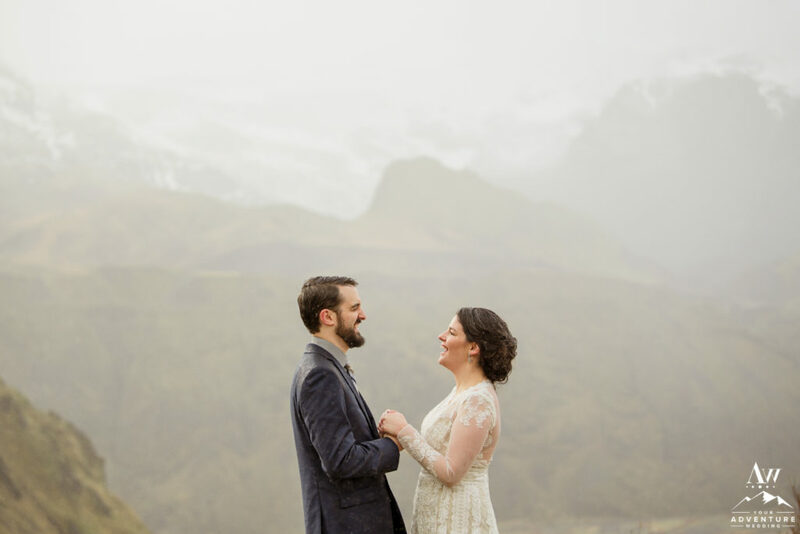 Honestly, there were moments of Casey and Zach’s mountain top wedding ceremony we felt like we were in the midst of a Swiss Alps Elopement! 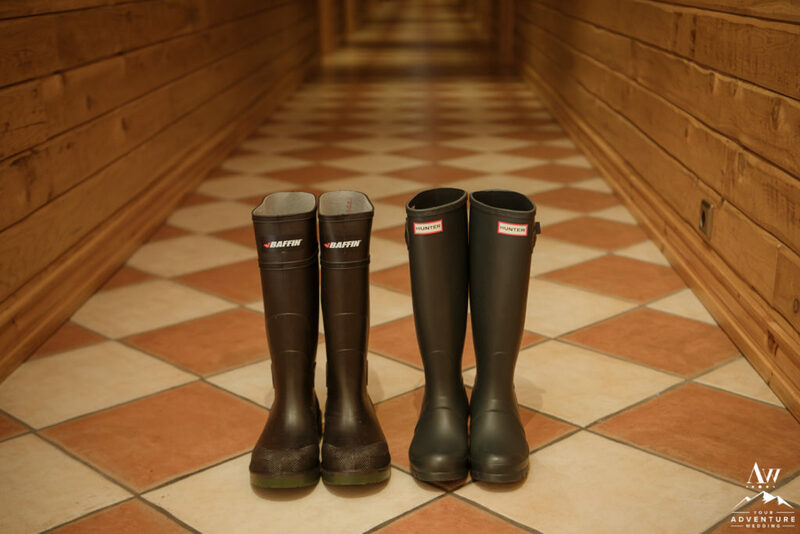 For real!! 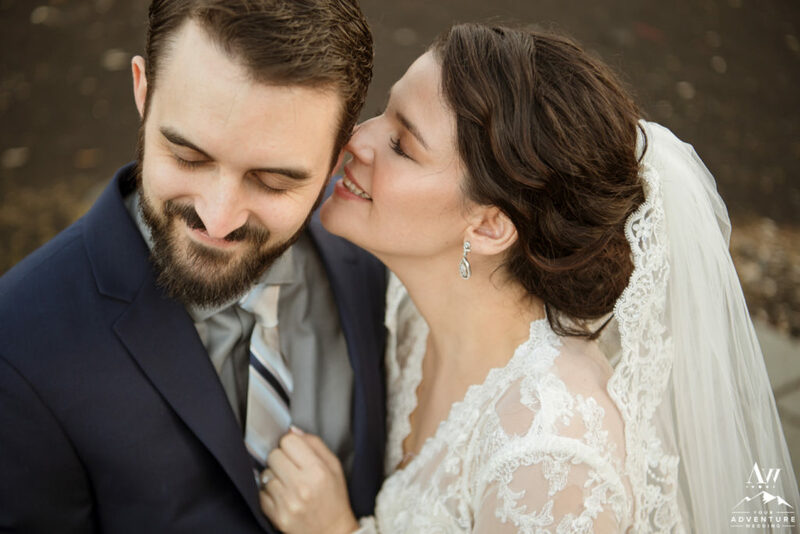 Let us find our way back to 2015 where Zach and Casey meet on a fabulous website as most of us do these days, (thanks OkCupid!). 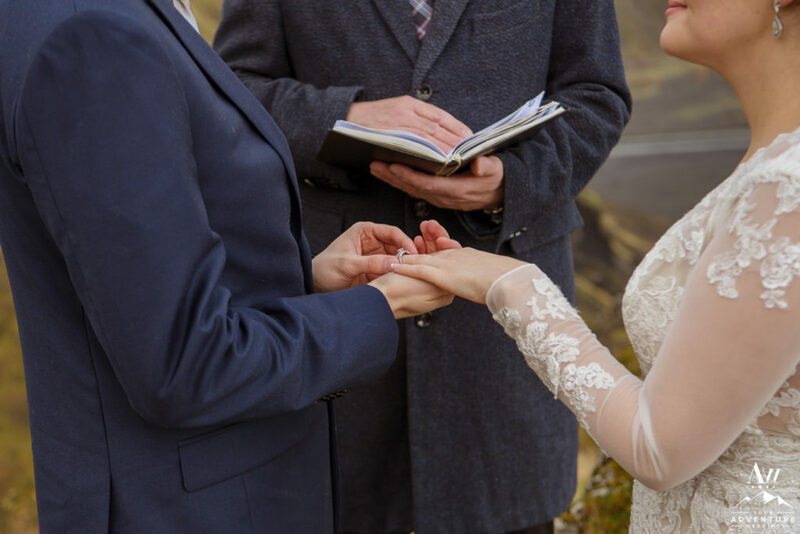 After all, what could be better than pre-screening someone to ensure no time wasted? 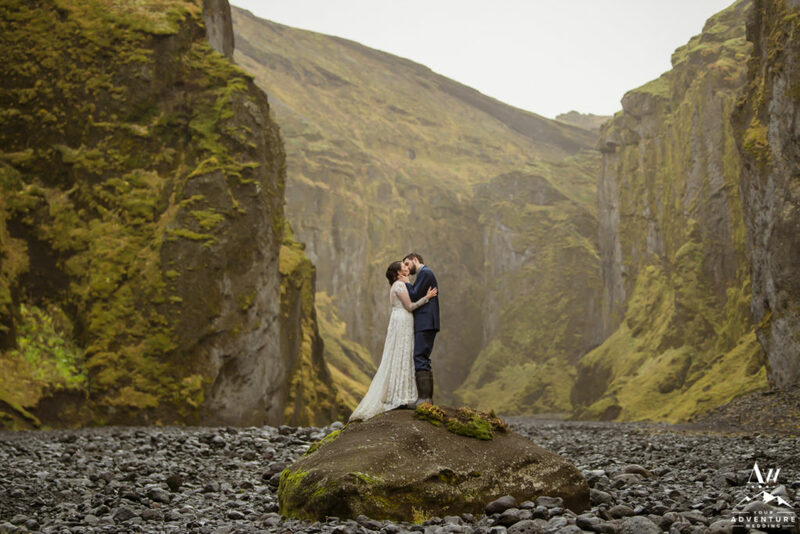 In their profiles, they saw that each had a love for hiking, the outdoors, fitness, and animals. 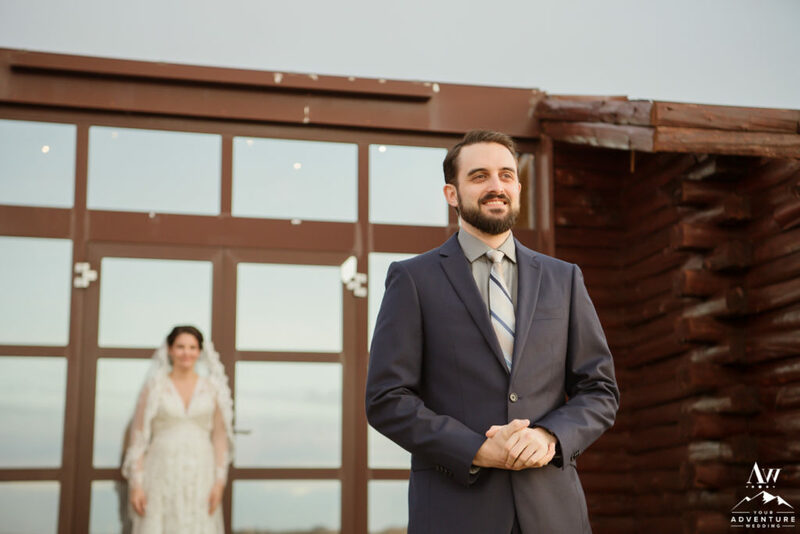 So when they met at a local Mexican restaurant for their first date, the conversation never stopped! 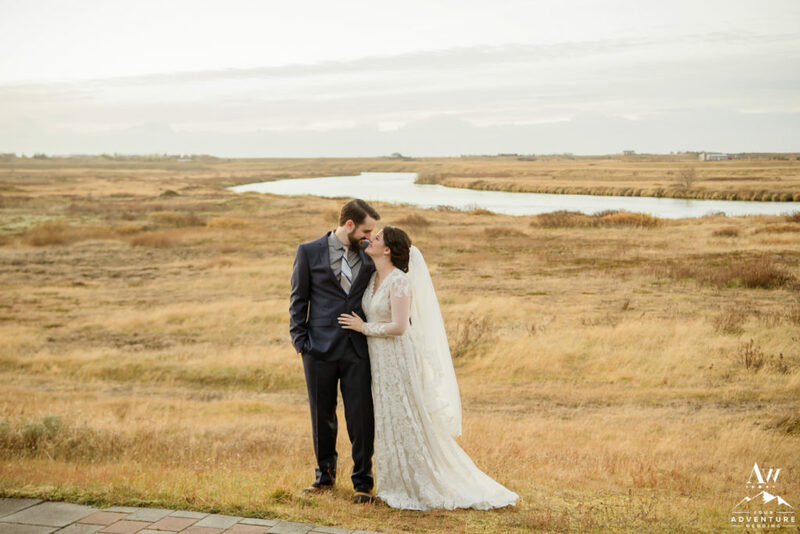 Realizing they had so much in common a second date was an easy decision! 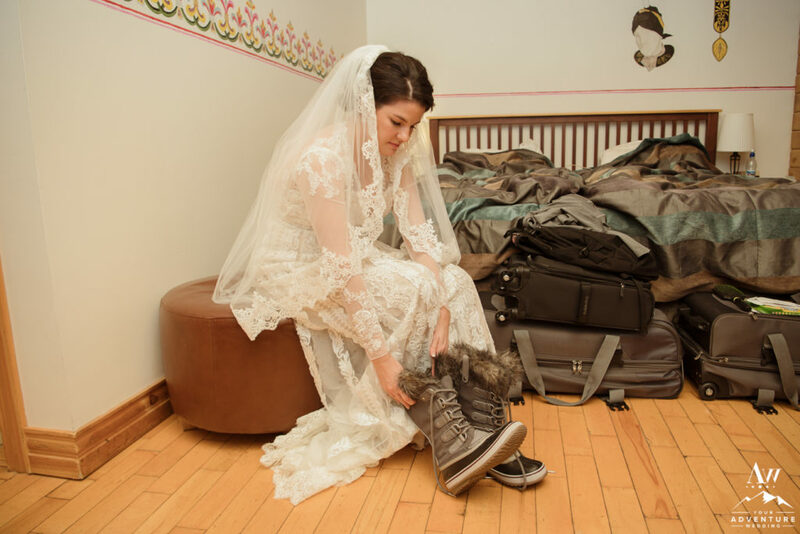 Hiking in the early morning hours throughout New Hampshire’s White Mountains, creating a sweet home with pup Boomer and cat Sushi, they love spending time connecting with each other. 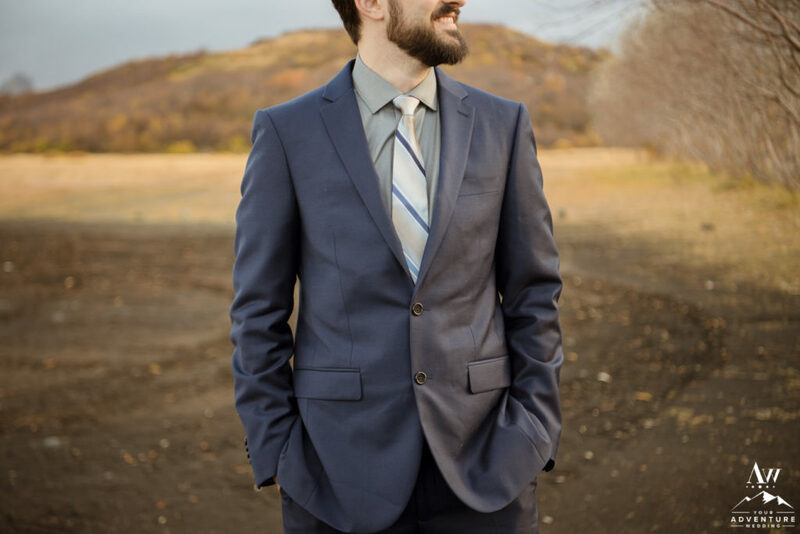 The fall of 2016 came and Zach had planned for them to get professional photos taken for the Christmas cards they would send out. 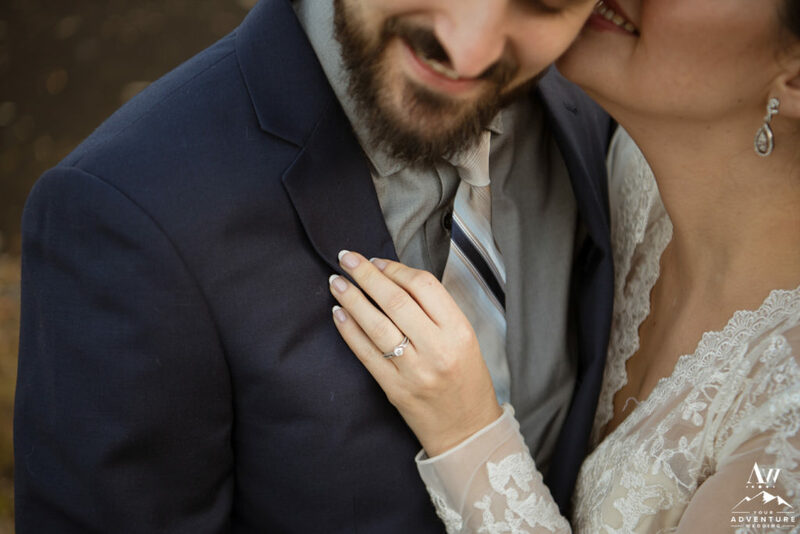 And he proposed during! 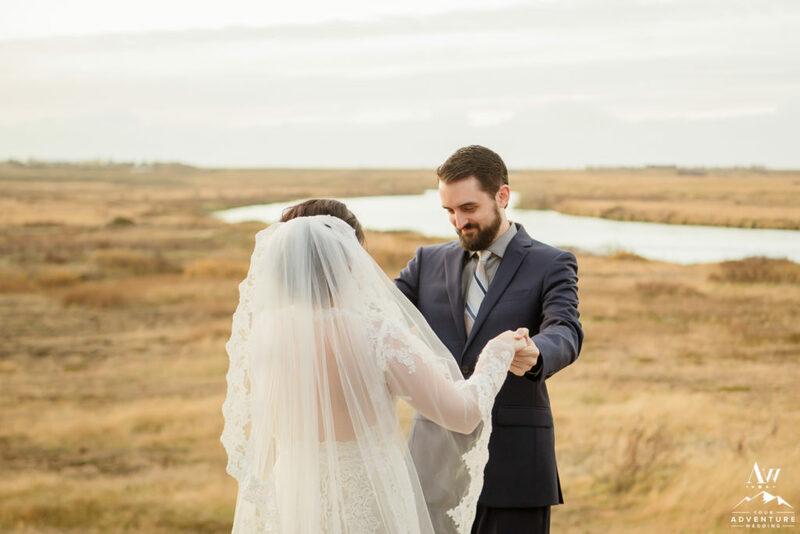 When these two looked at wedding venues in New Hampshire, nothing ever felt like “them.” Also not wanting the stress of a big traditional local wedding, they started seriously considering unique places to elope. 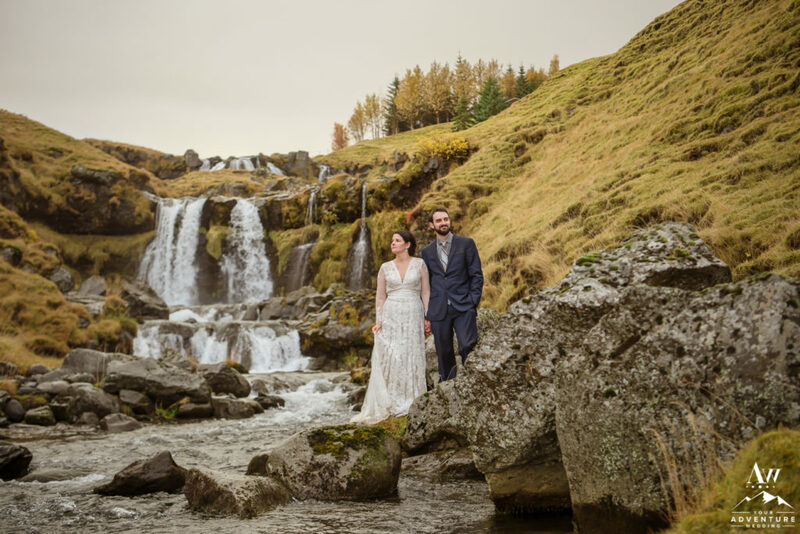 Scandinavia was always a huge draw for them both especially during fall time when Northern Lights could be a possibility to see as well. 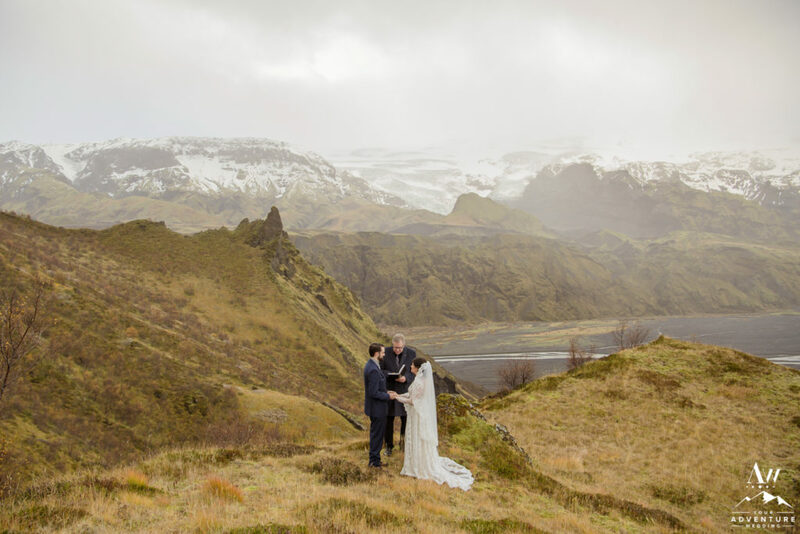 Somewhere around April 2017 (18 months before their date), these two reached our to our Your Adventure Wedding planning team originally wanting options in both Iceland and Norway. 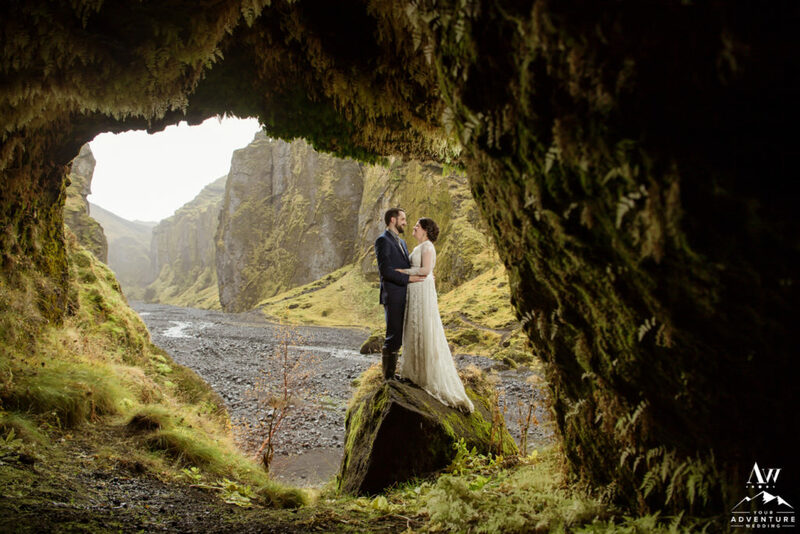 Subsequently after our initial 120 minute Skype interview, our team determined they were perfect for an adventurous elopement! 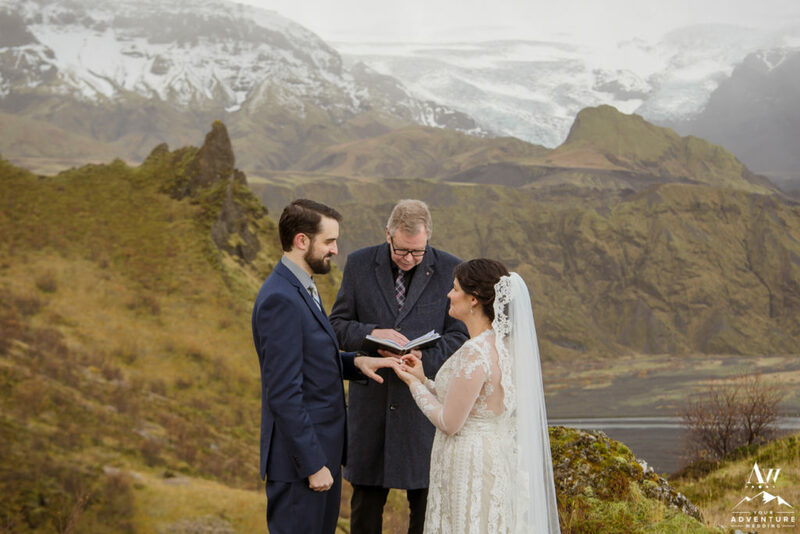 And that Iceland as the best fit for them for October 2018. 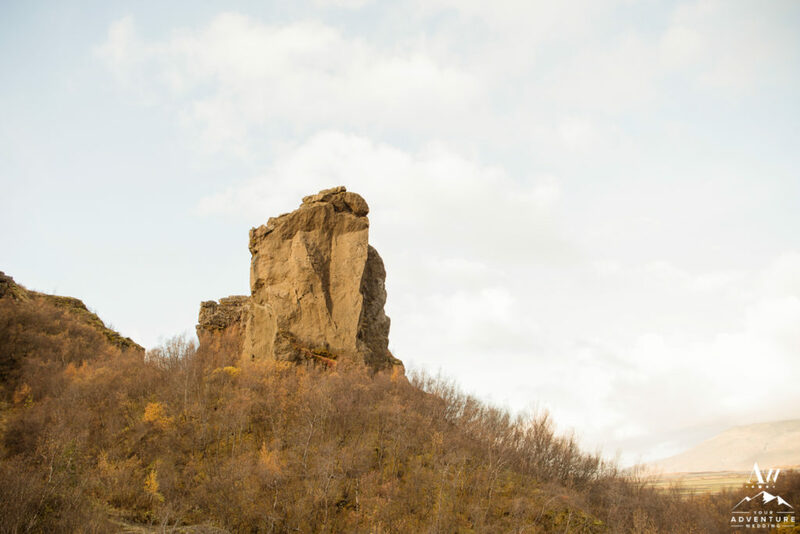 Especially to fill their desire of staying under 30 minutes hikes, amazingly shaped mountains, and exploring many different places in one day easily. 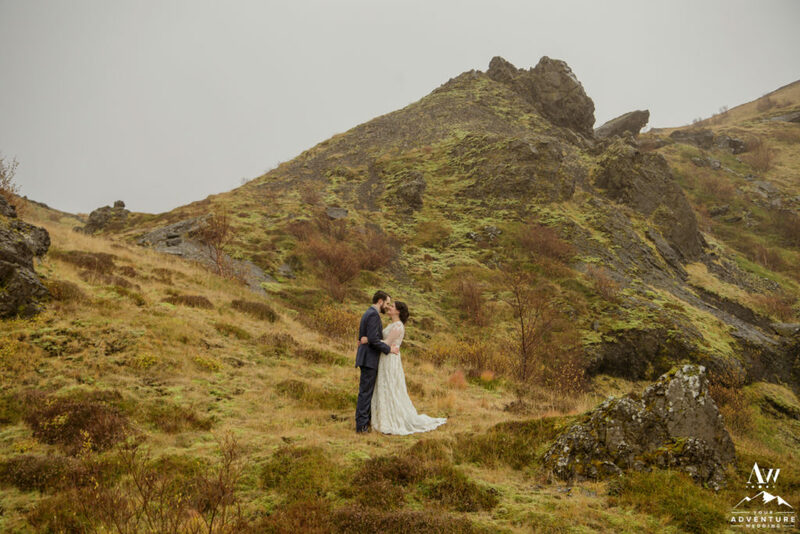 So follow us along today as we share with you Zach and Casey’s October mountain top wedding in Iceland! 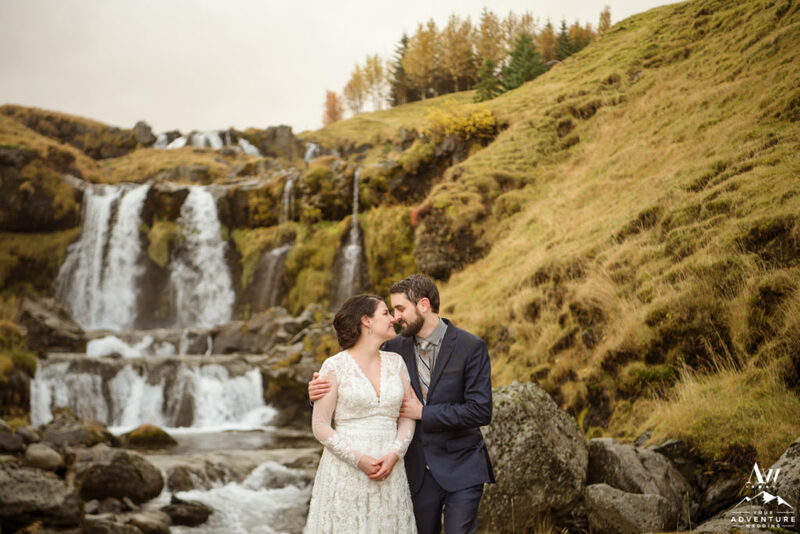 October 13th 2018 began as a calm brisk fall morning in Southern Iceland. 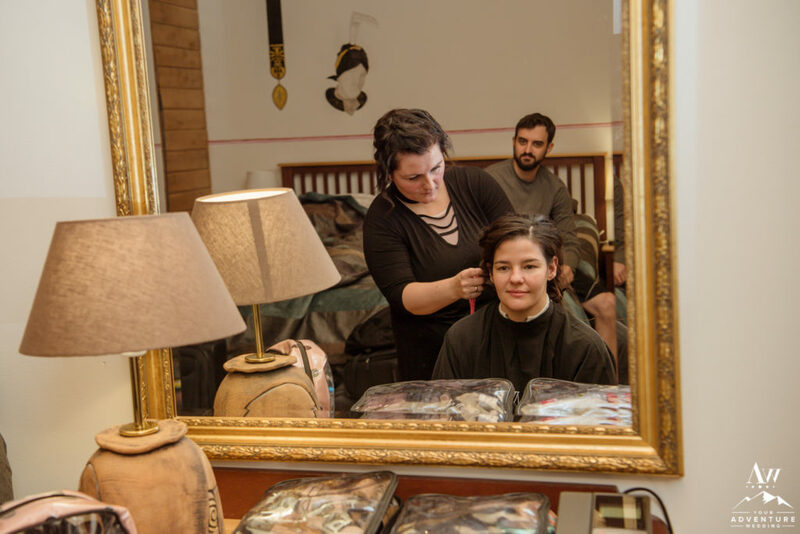 The excitement at 6am in Casey and Zach’s room was off the charts and they were all smiles. 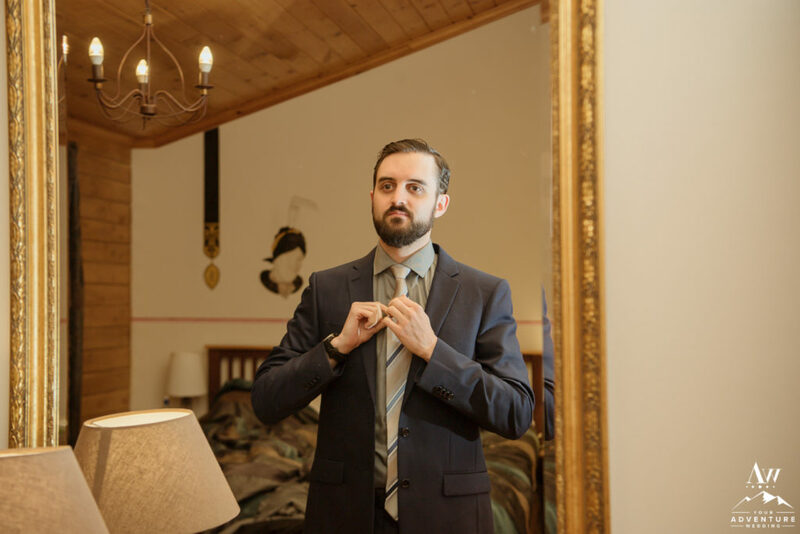 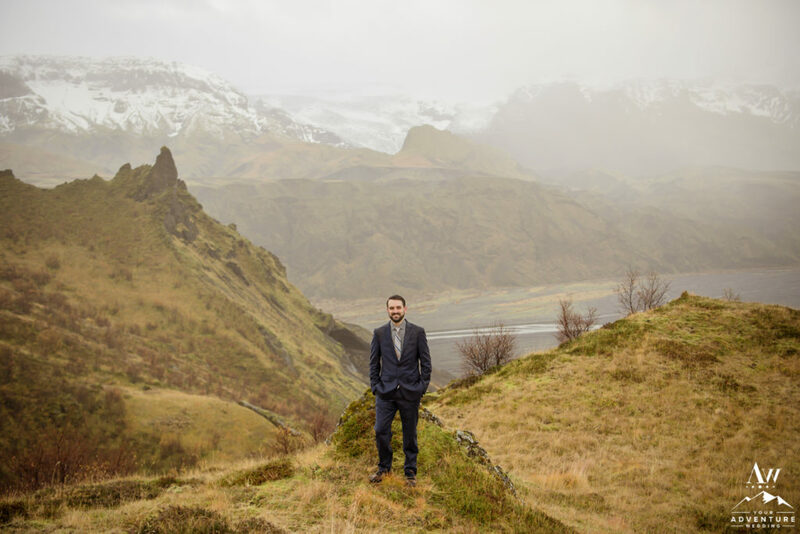 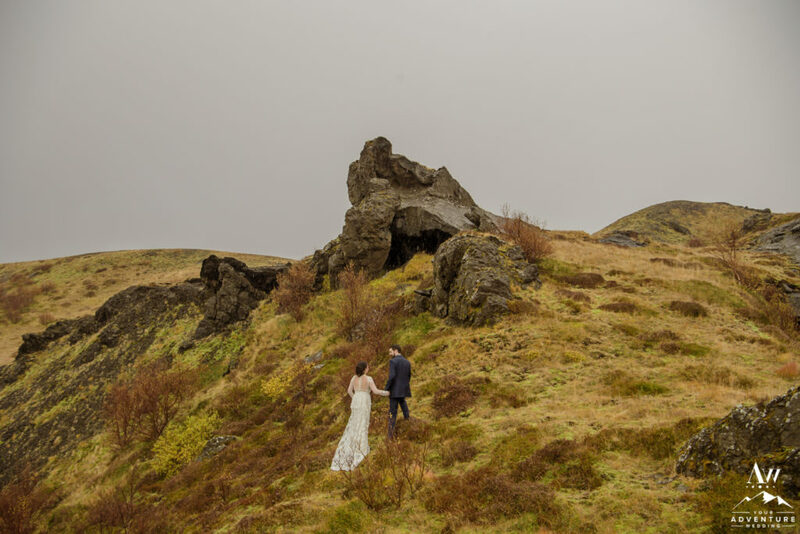 Our Iceland elopement photographer was in the midst of photographing all of the wedding details. 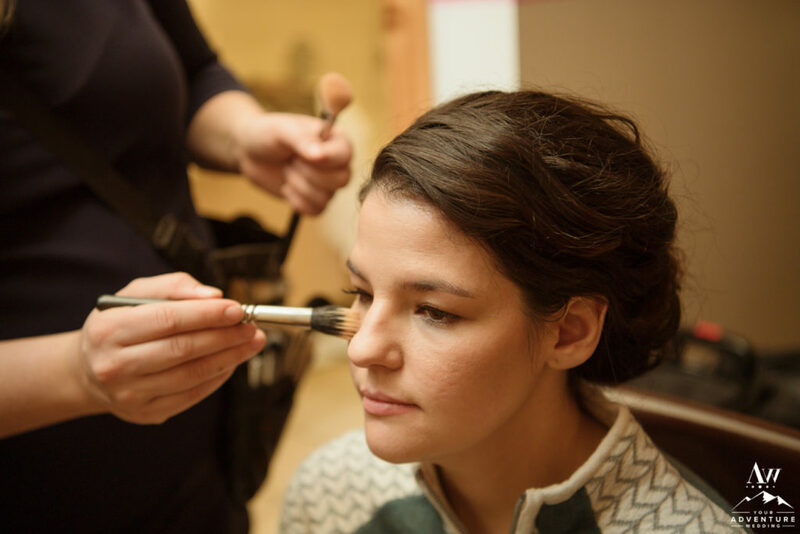 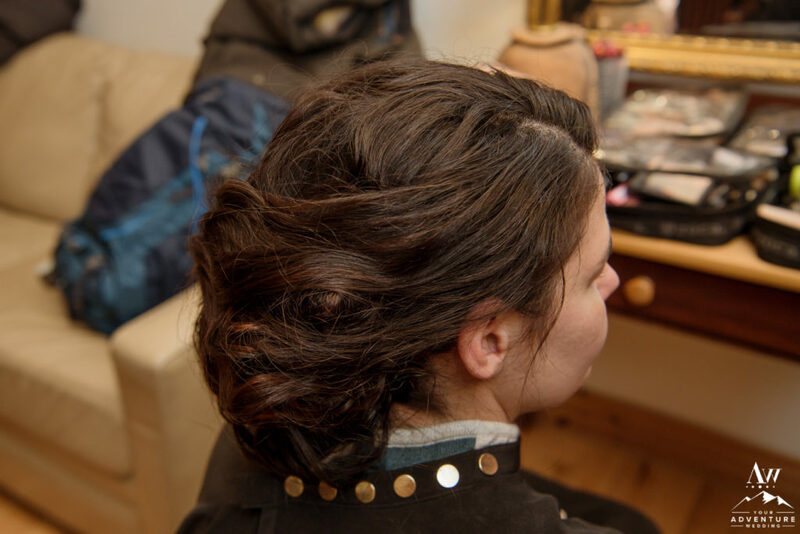 All while the hair and makeup artists were working on Casey’s styles! 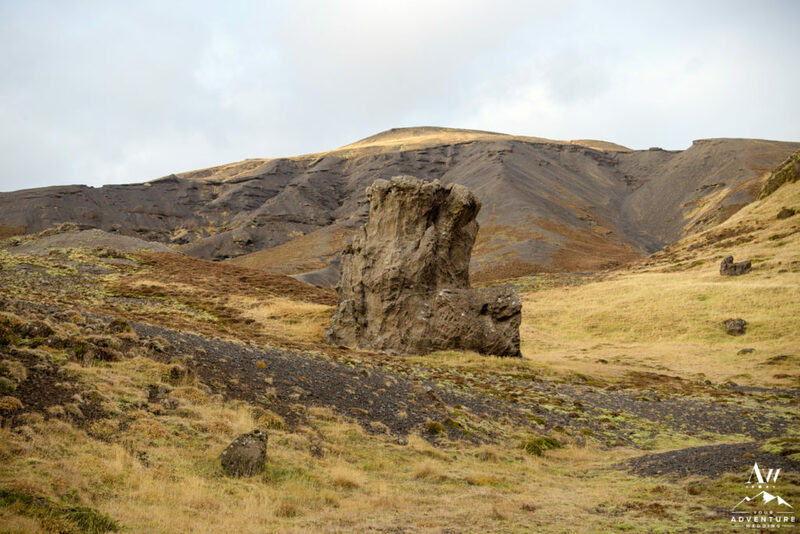 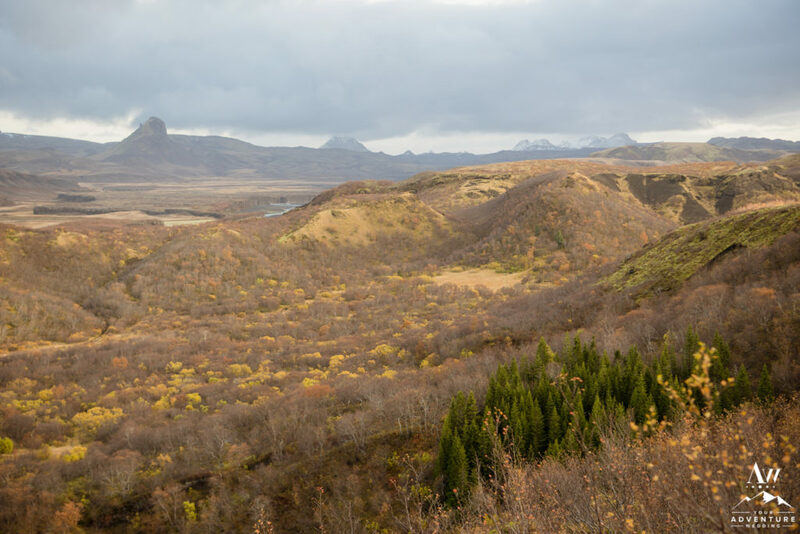 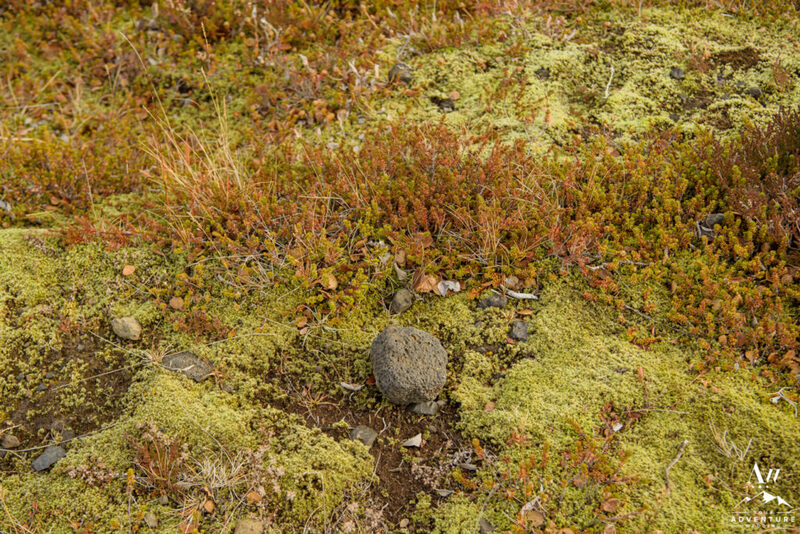 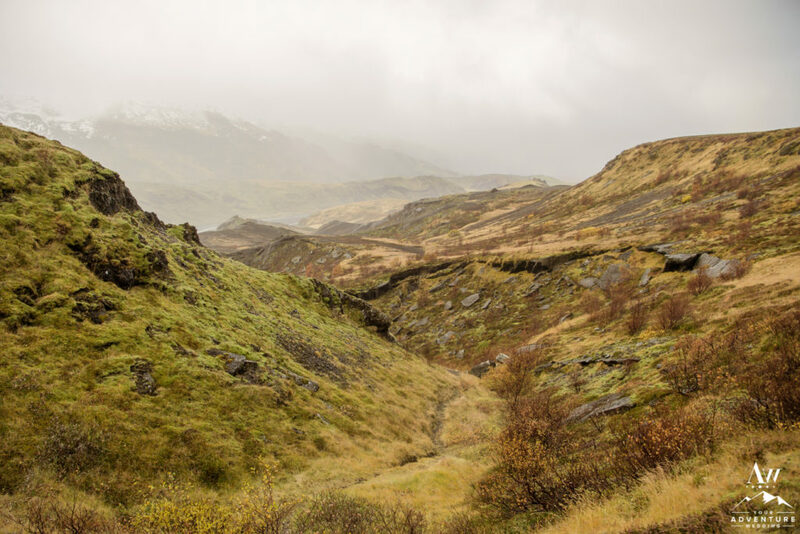 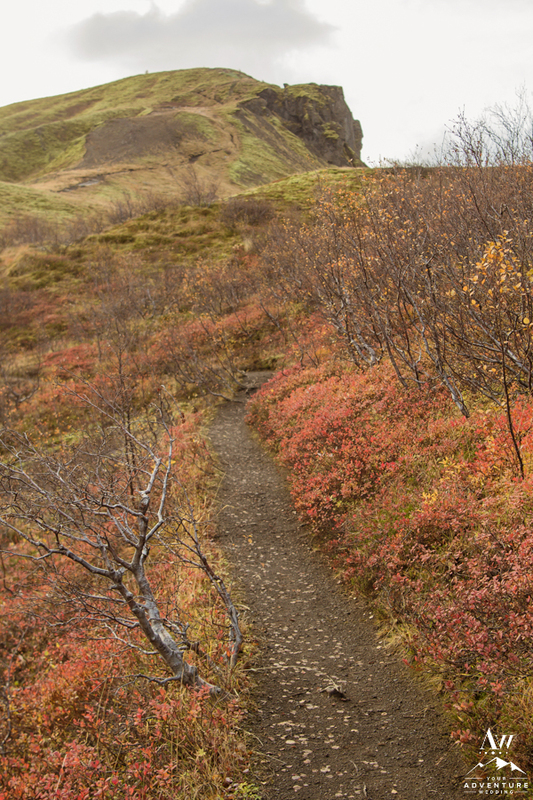 Previously, as we alluded to before, many of the mountains in Iceland are easy hiked in 30-60 minutes. 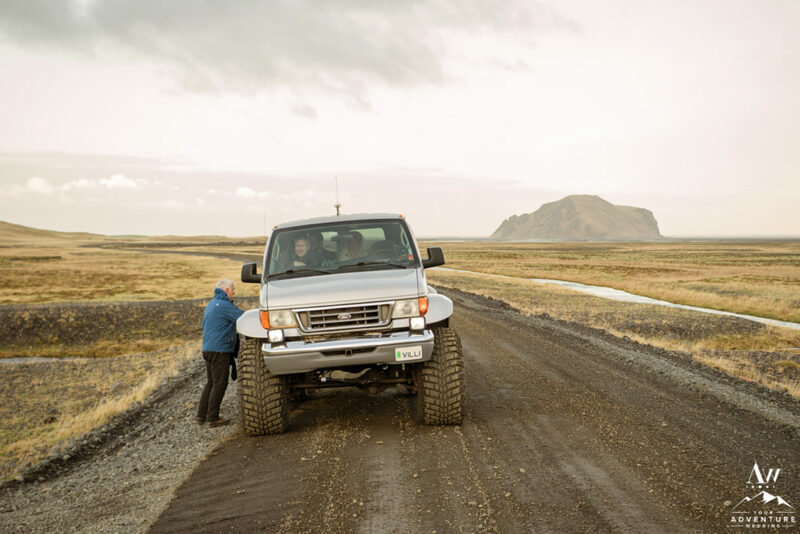 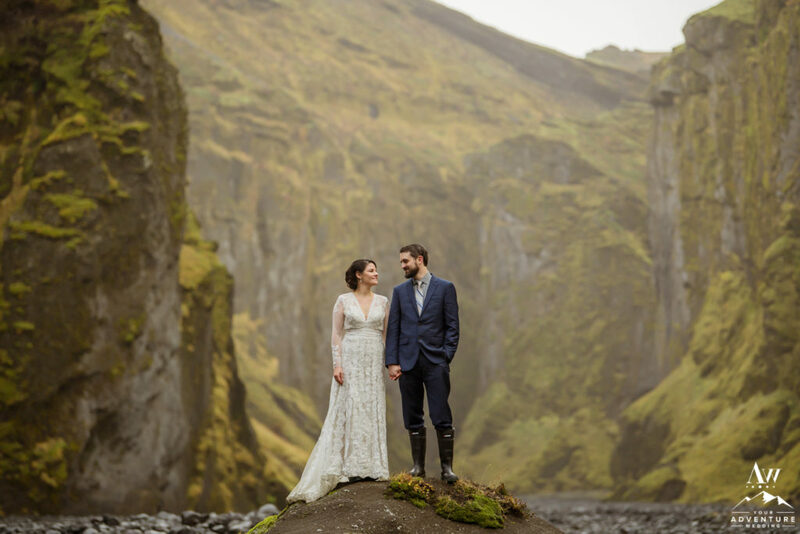 For Zach and Casey’s elopement in Iceland we were on our way to one that offers a stunning view and excellent adventure on the way… Hello super jeep deep river crossings! 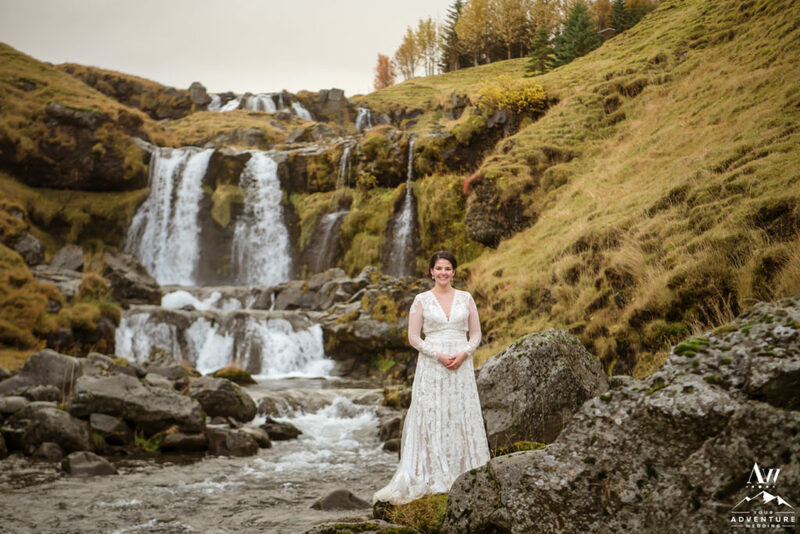 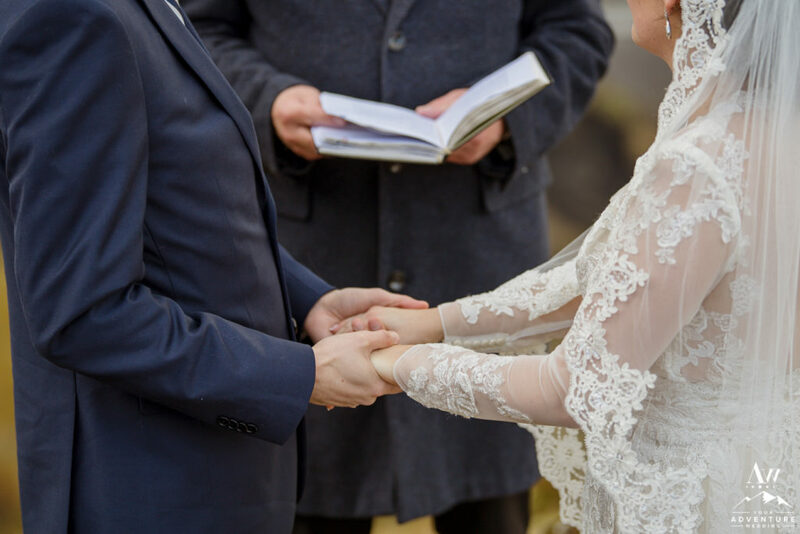 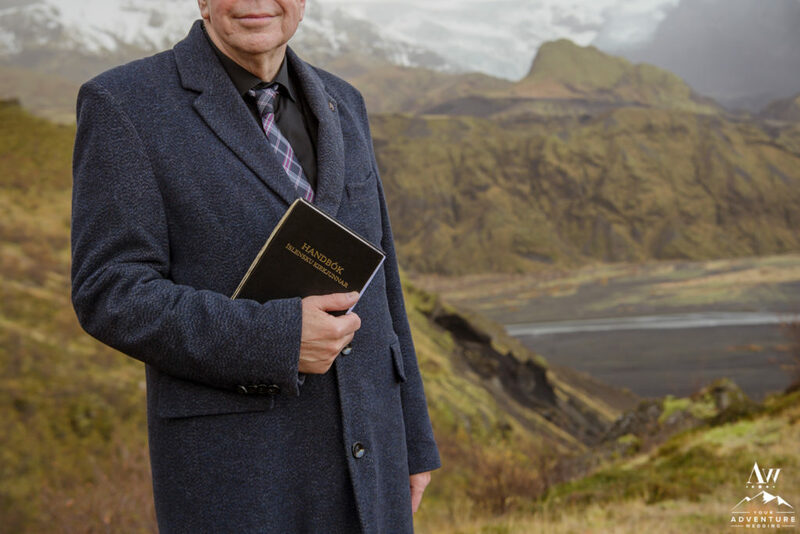 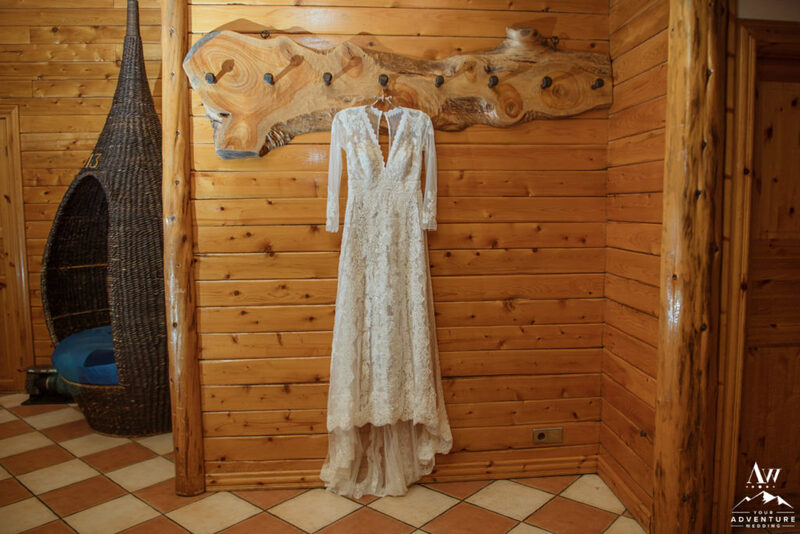 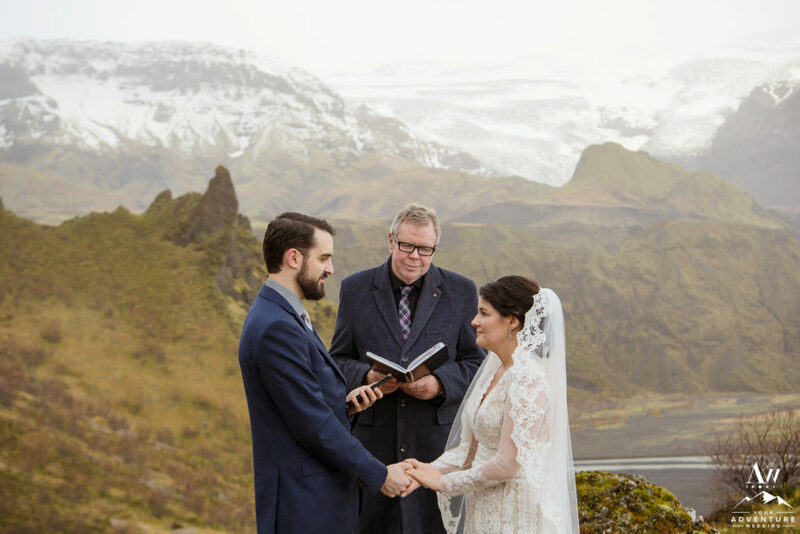 Unlike other celebrants that perform wedding ceremonies in Iceland. 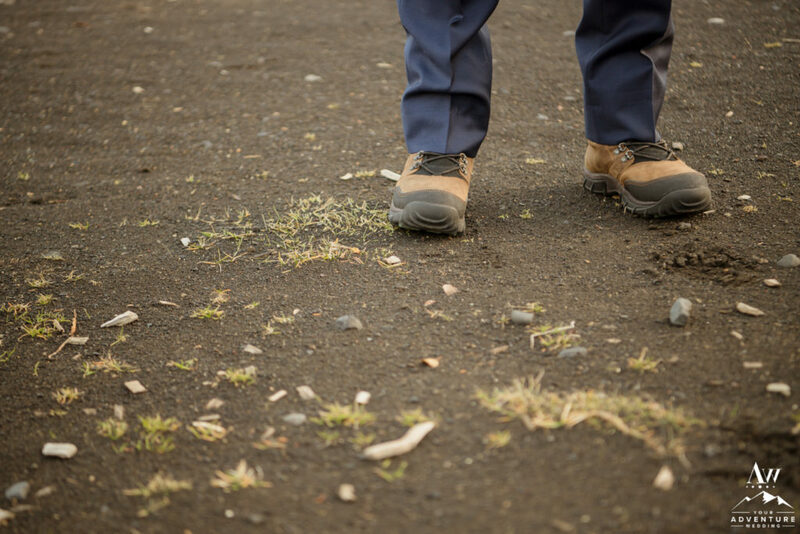 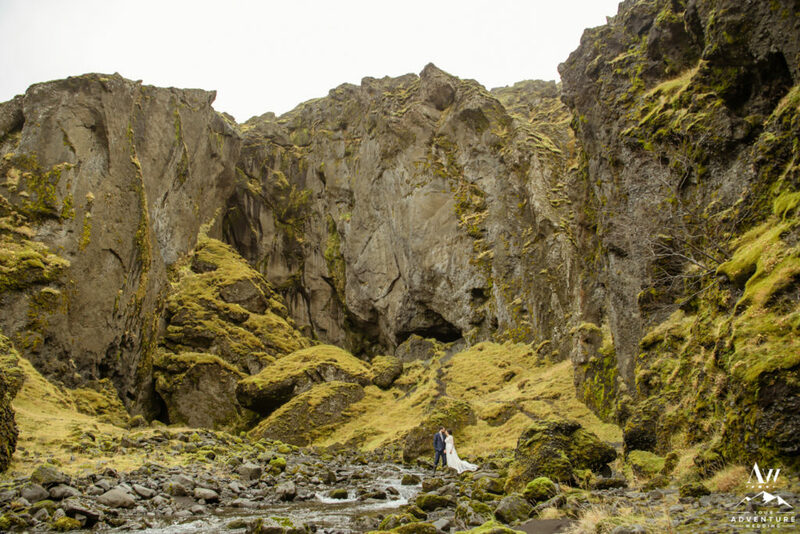 Our favorite Pastor is willing to hike up mountains, seriously he totally rocks! 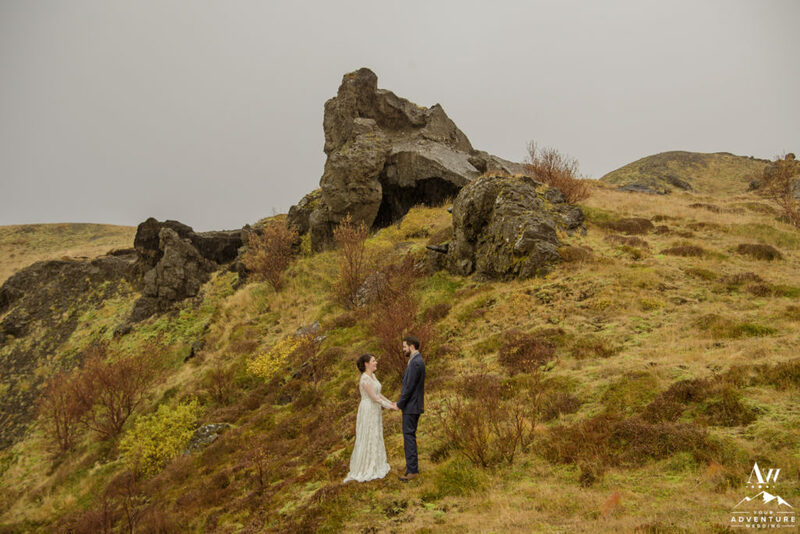 Also he is willing to craft amazing mountain top wedding ceremonies in the rain! 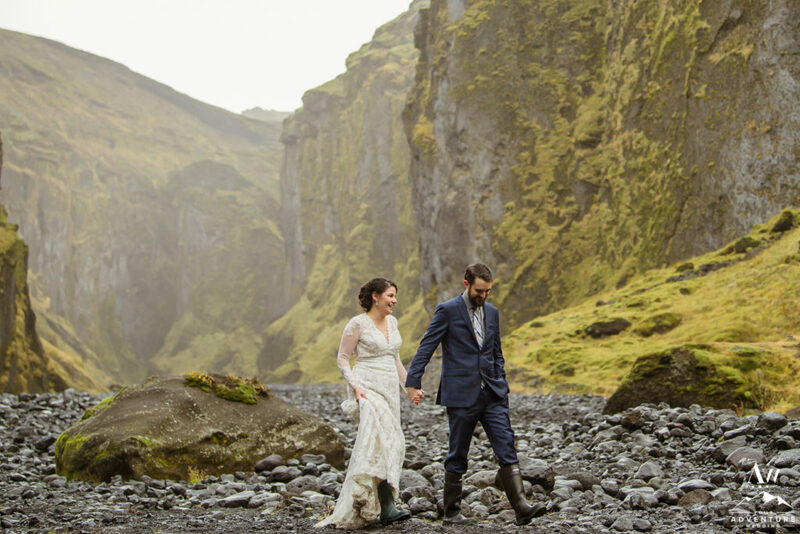 Speaking of rain, we always prepare our clients to literally picture yourself in the “worst weather possible” and come to terms with it happening. 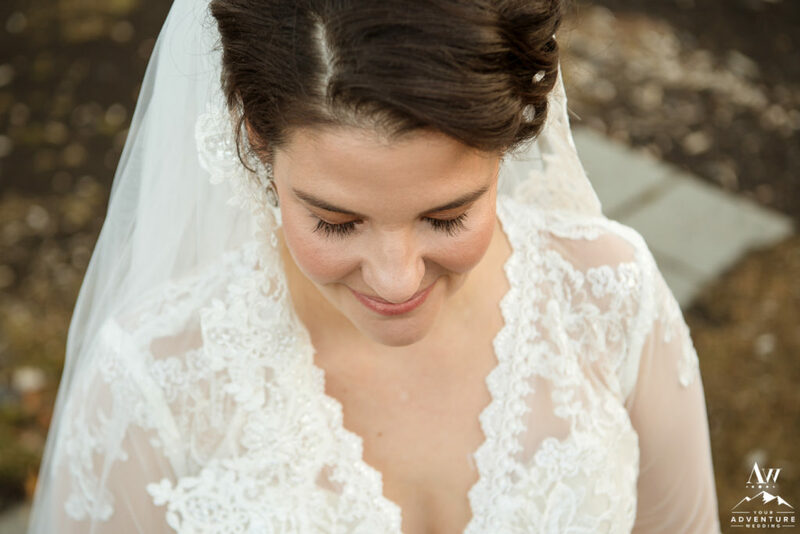 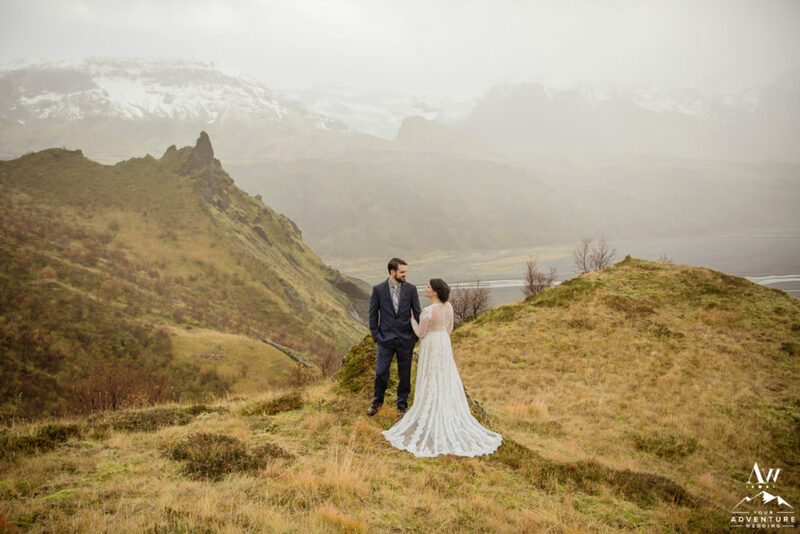 Without a doubt, you need to embrace the weather and understand that it is all part of the story and adventurous elopement experience! 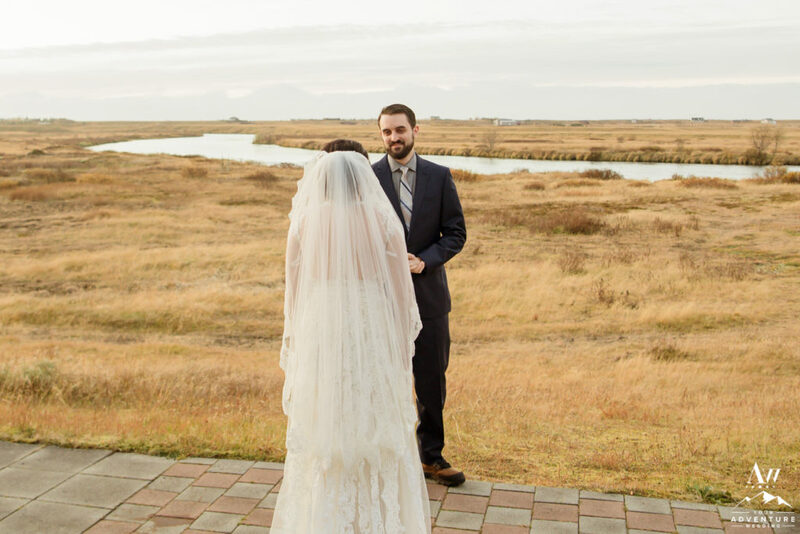 That October morning, it drizzled during the ceremony. 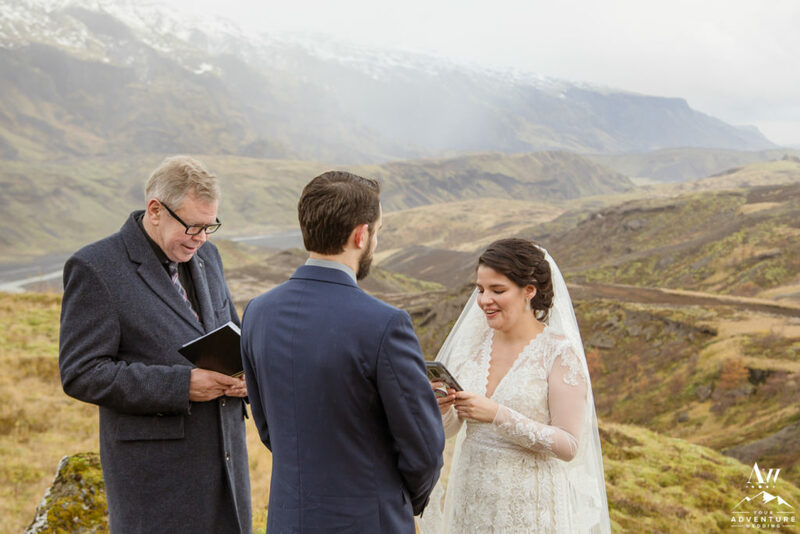 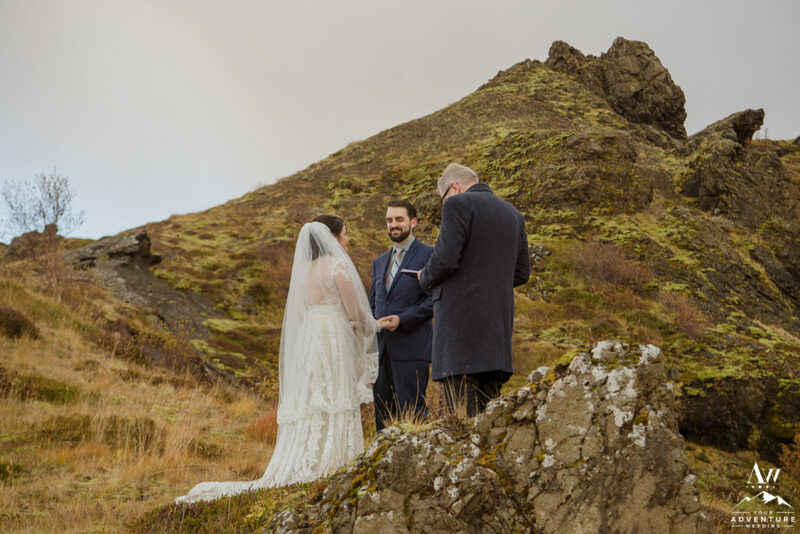 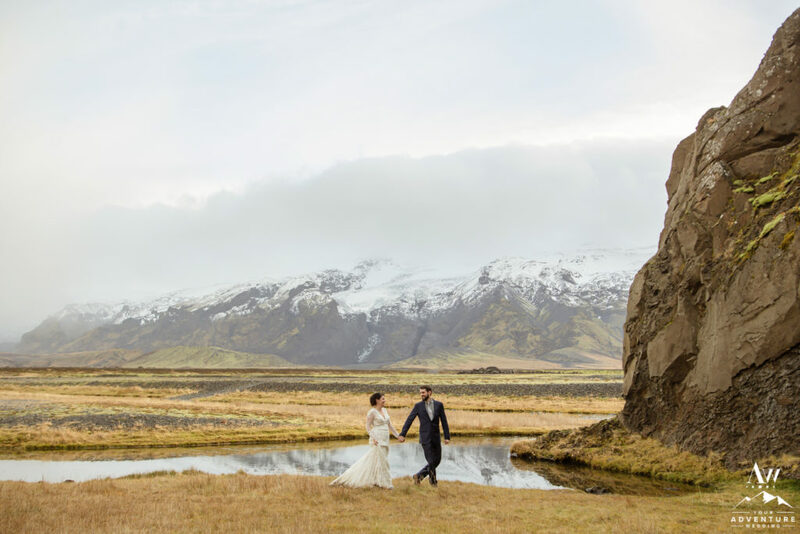 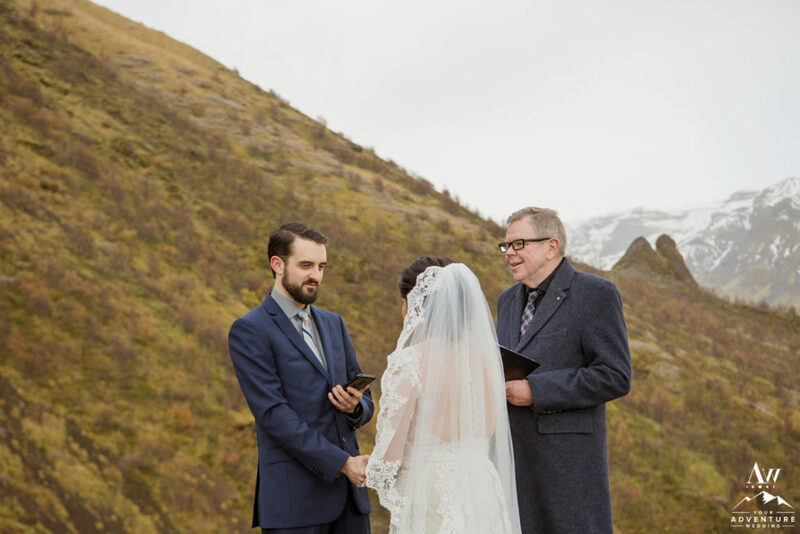 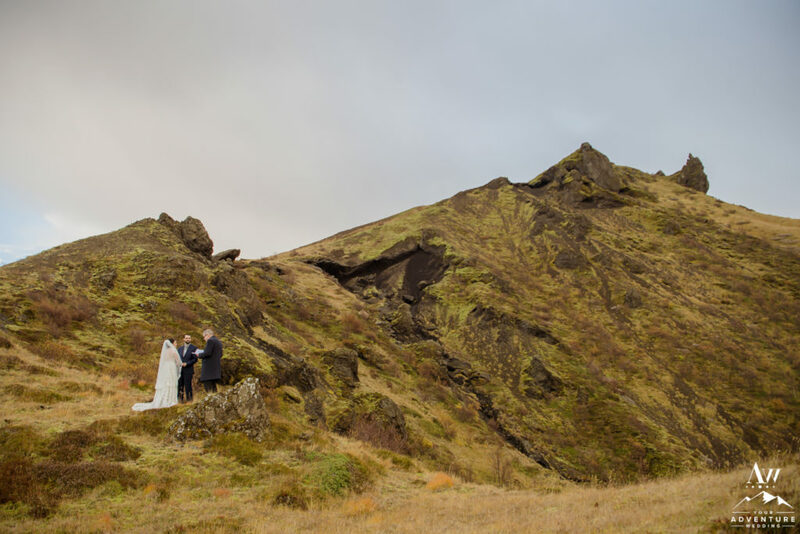 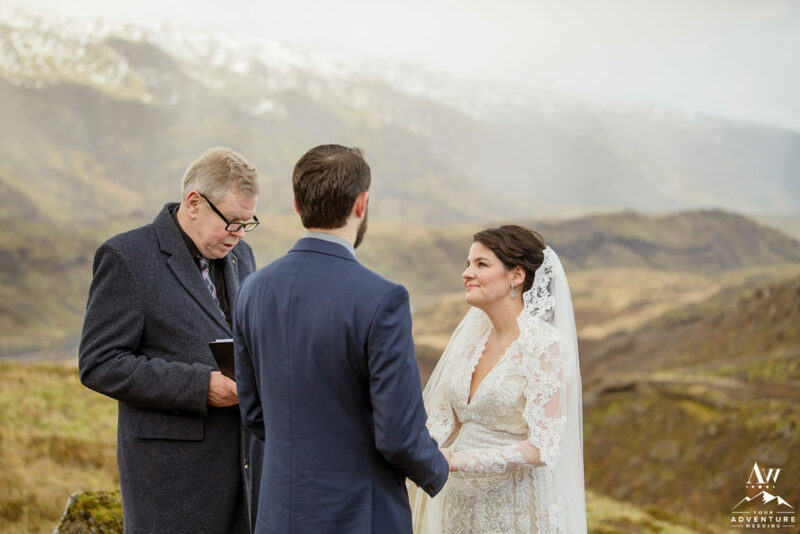 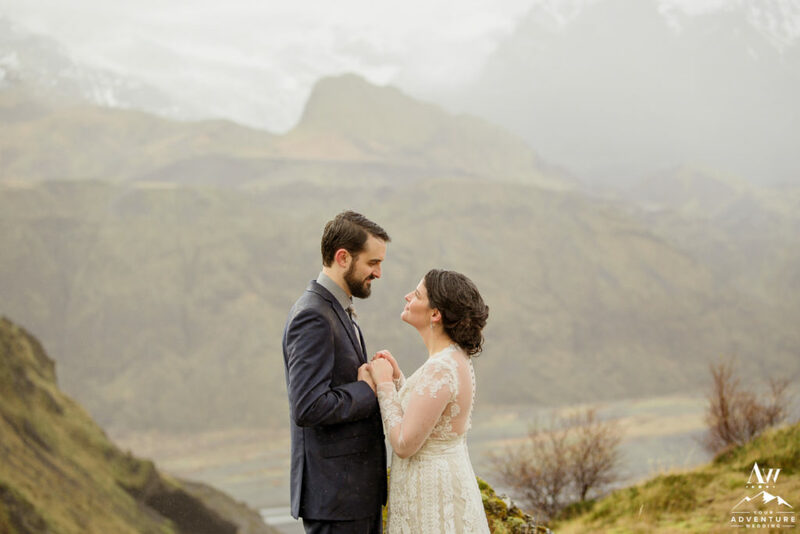 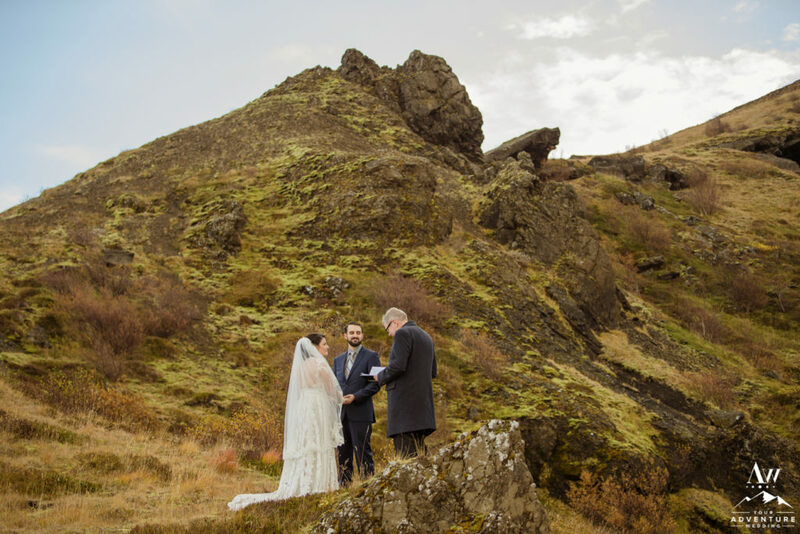 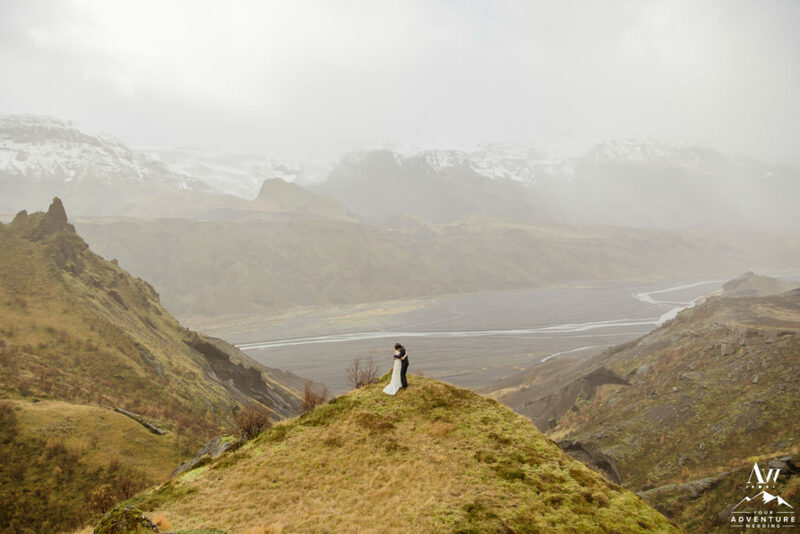 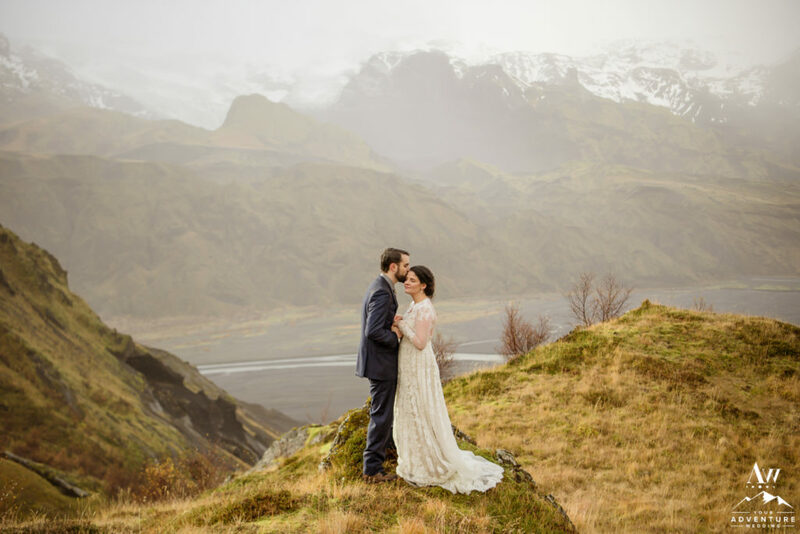 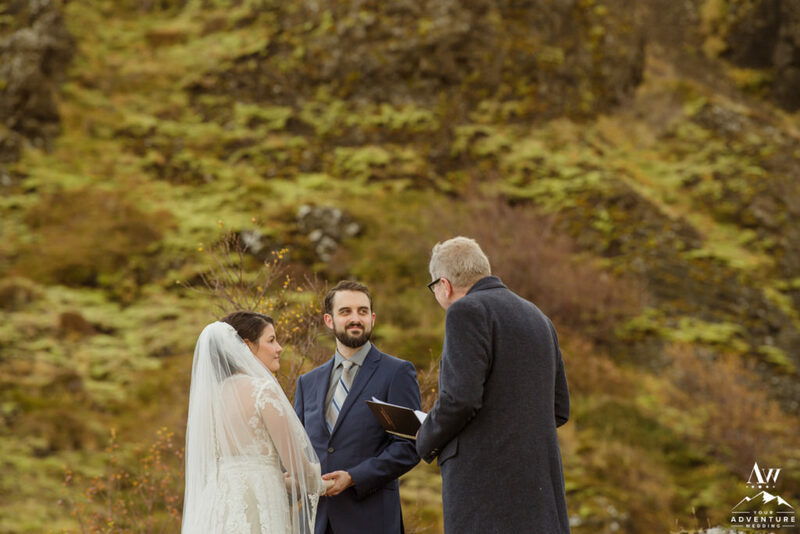 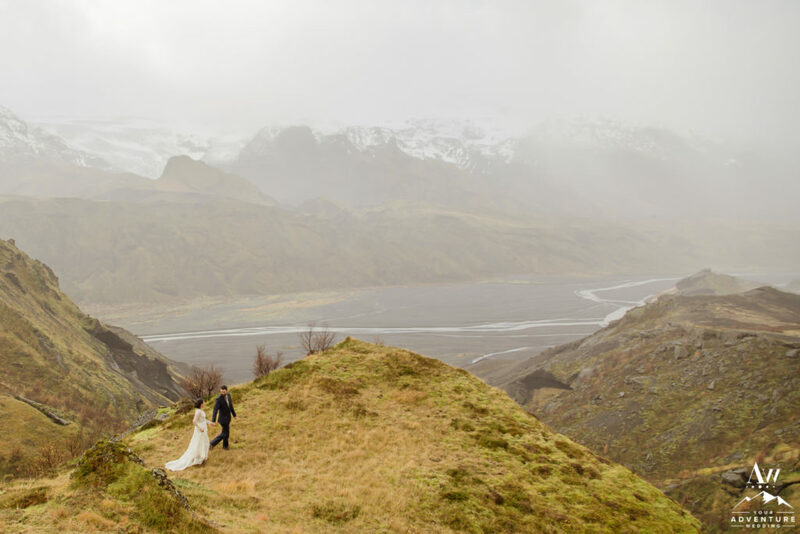 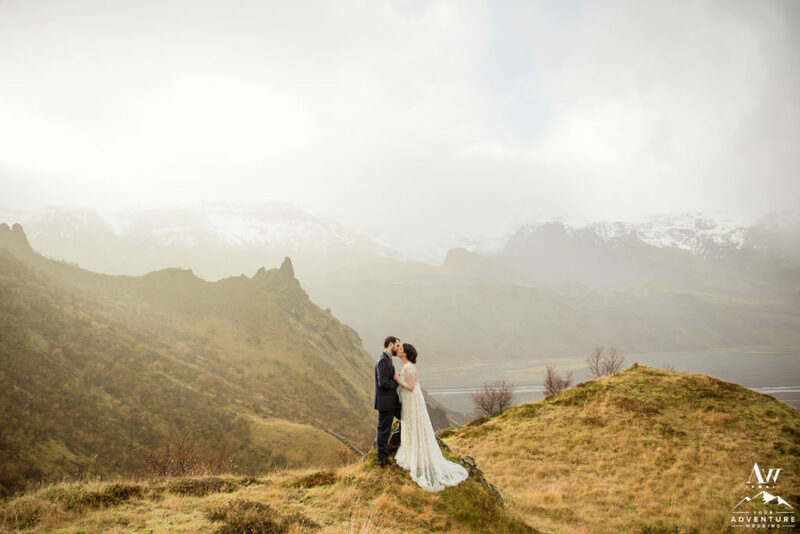 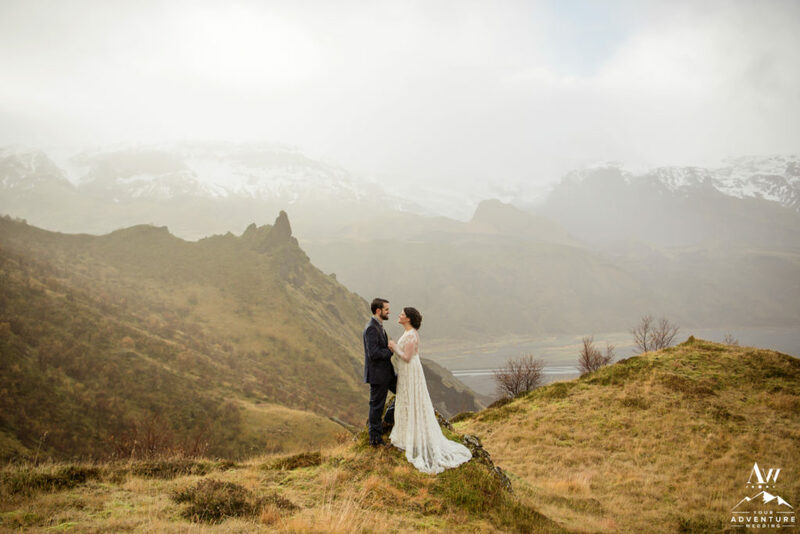 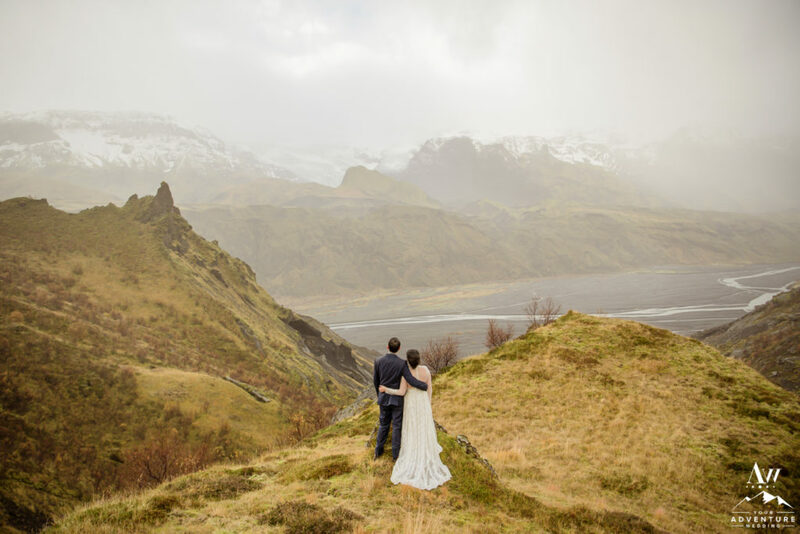 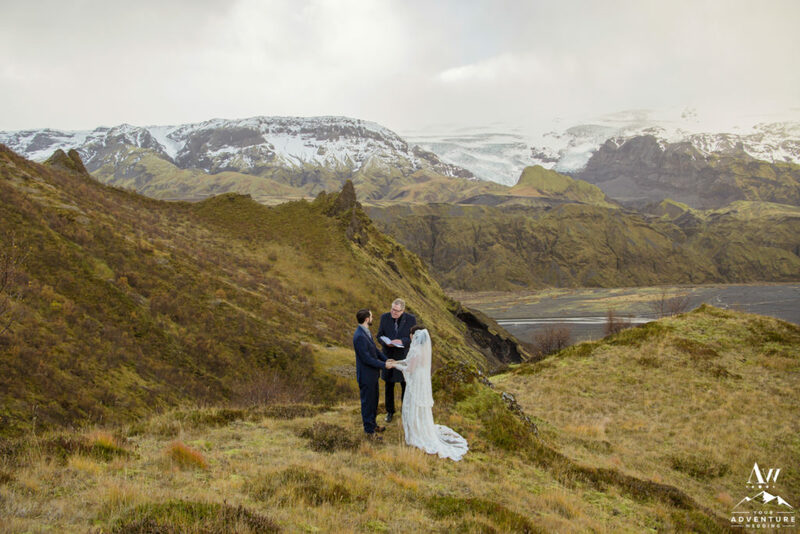 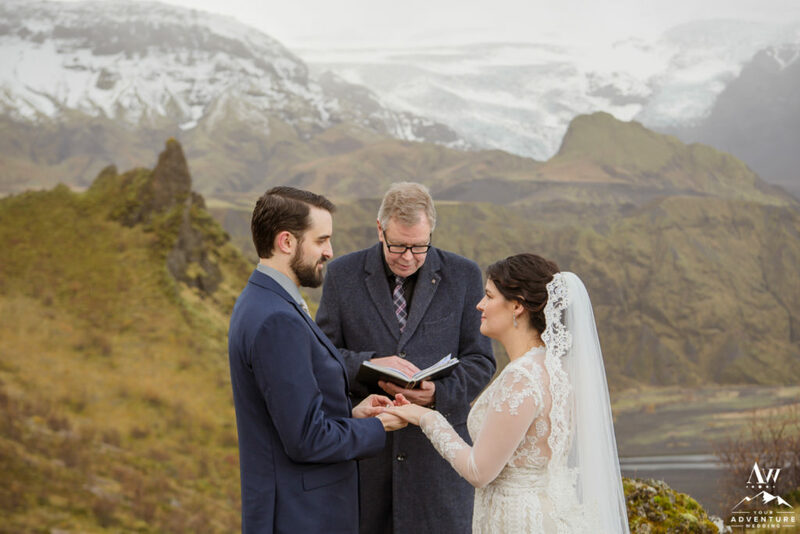 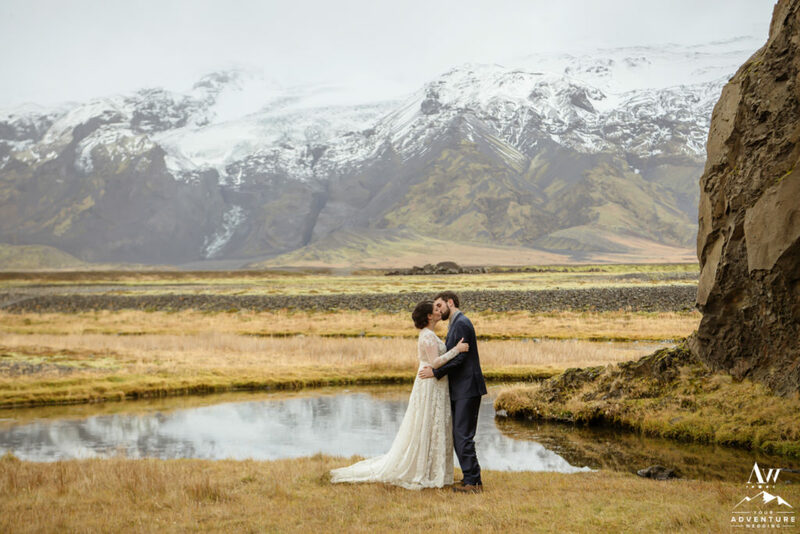 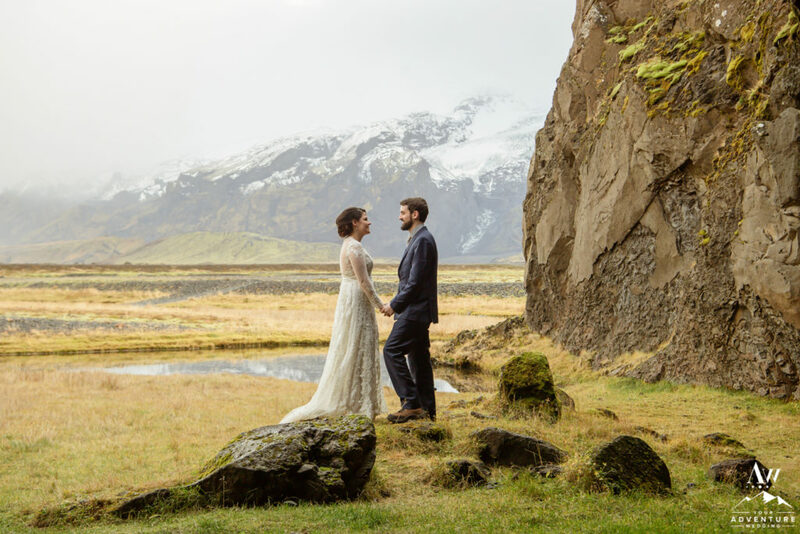 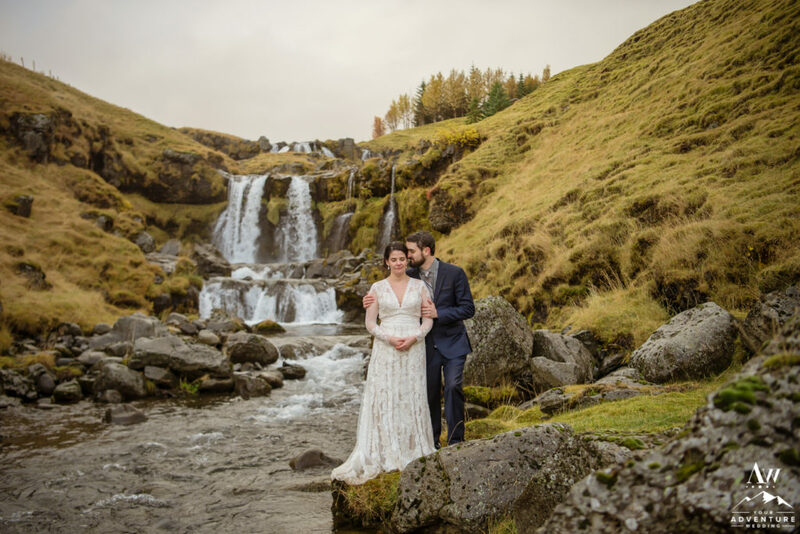 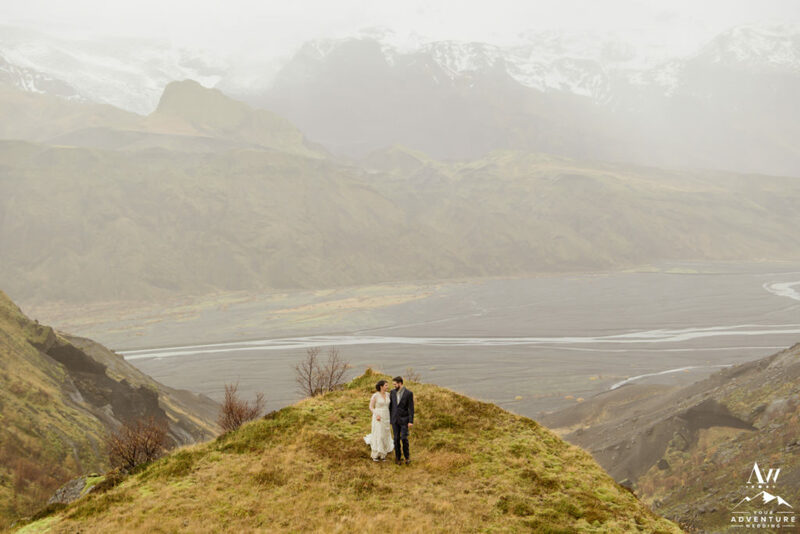 But it only made Zach and Casey smile bigger and feel more connected to the Icelandic nature during their mountain top wedding ceremony! 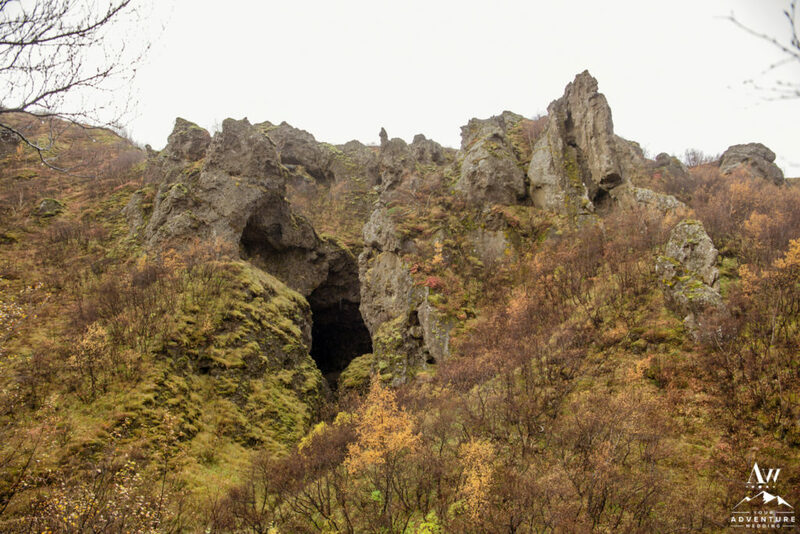 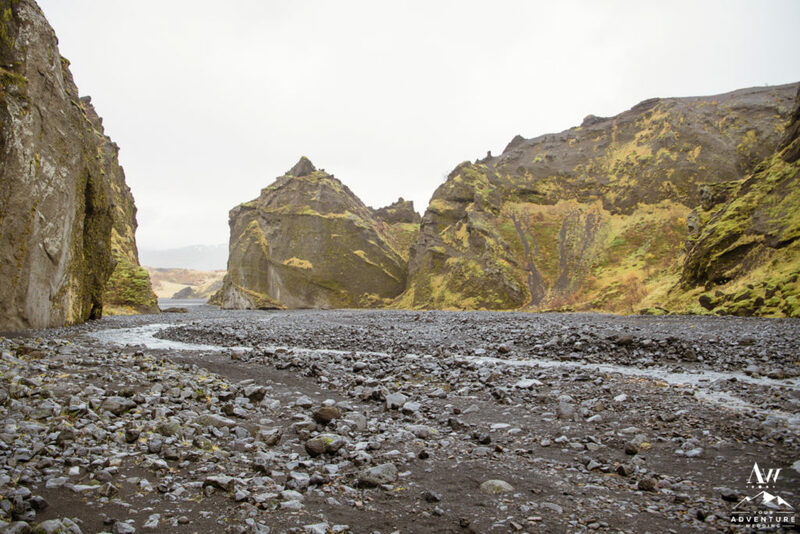 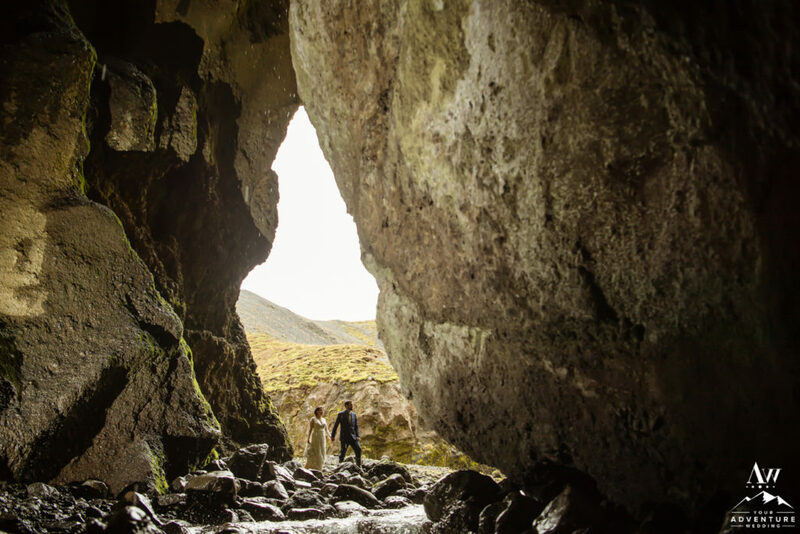 Having time to explore during your adventurous elopement in Iceland is a critical part to our experiences. 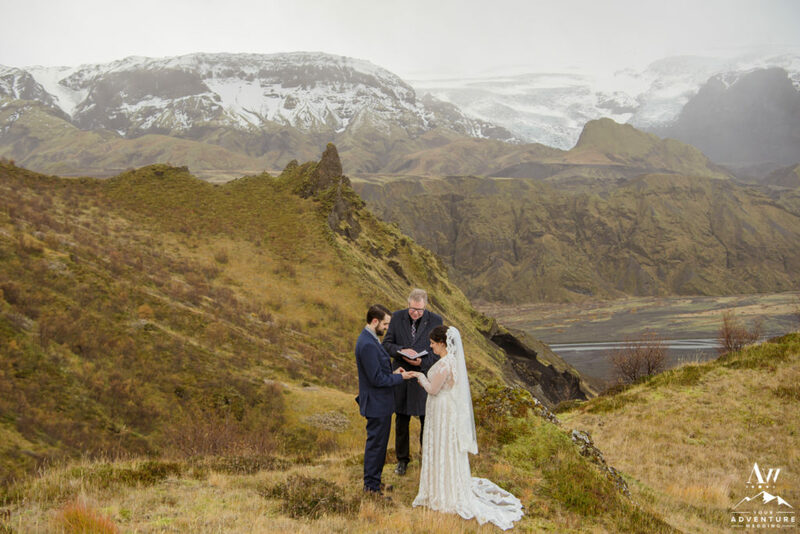 Without a doubt, you two didn’t travel all that way to just have Iceland wedding photos in cool places, you need to EXPERIENCE it. 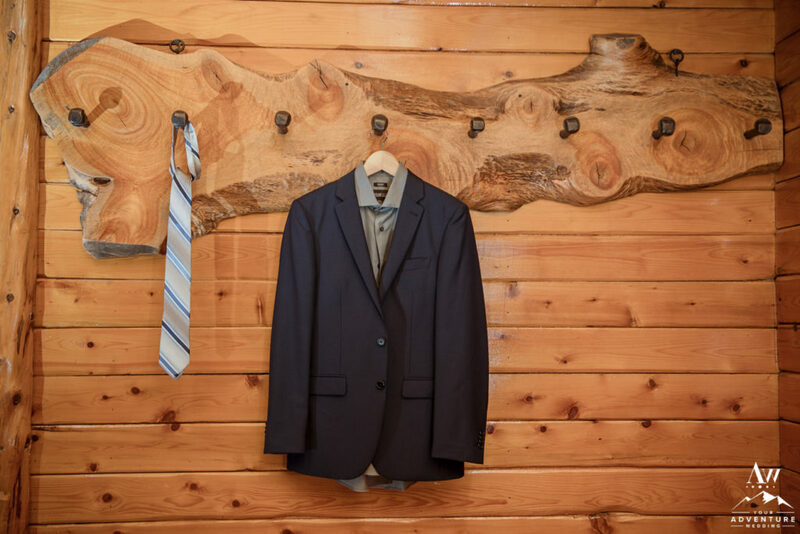 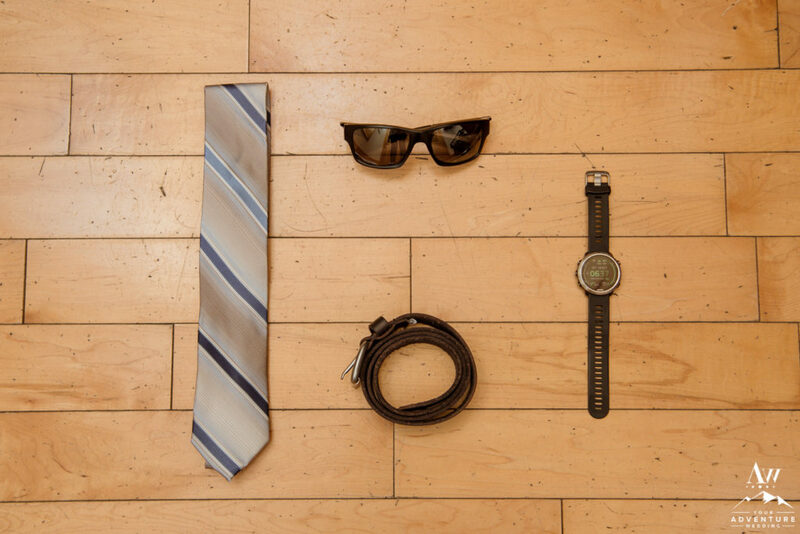 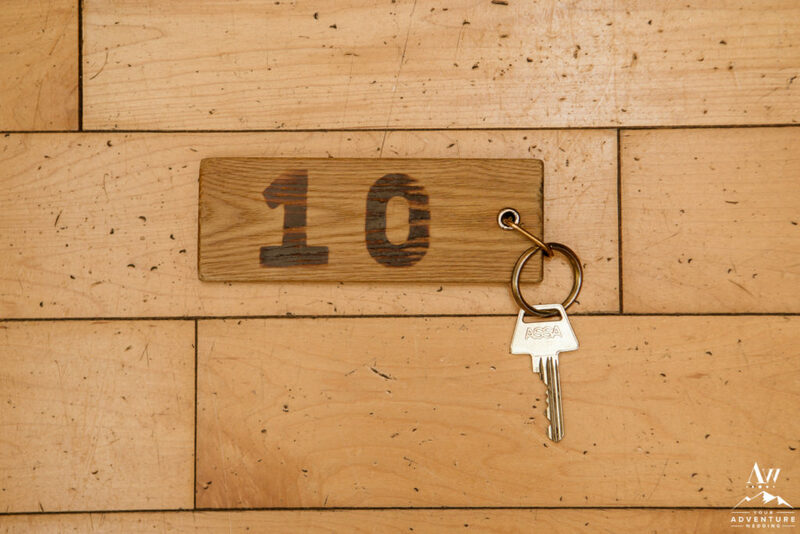 We encourage our clients to take everything in with their five senses and be in the moment. 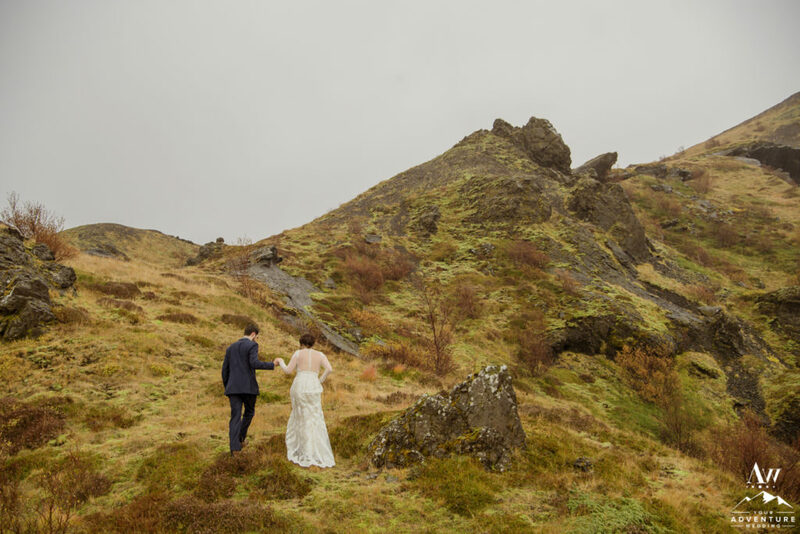 Once Zach and Casey’s mountain top wedding ceremony was complete, they journeyed around the area exploring. 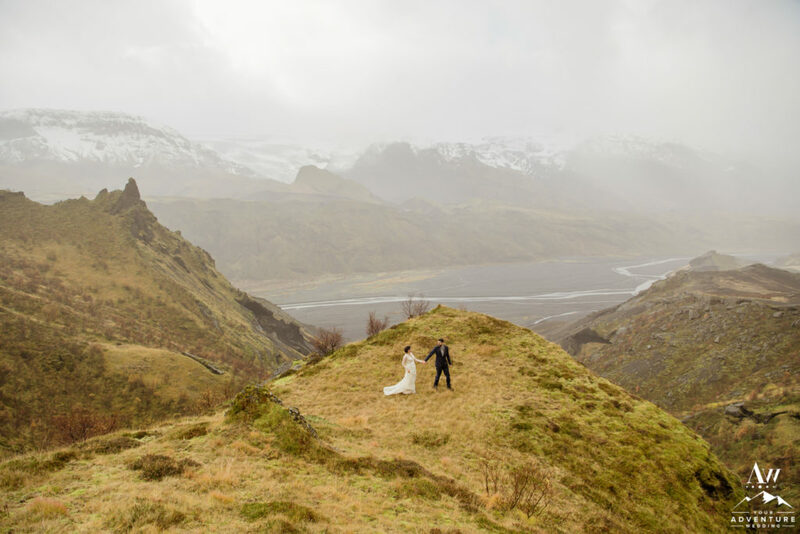 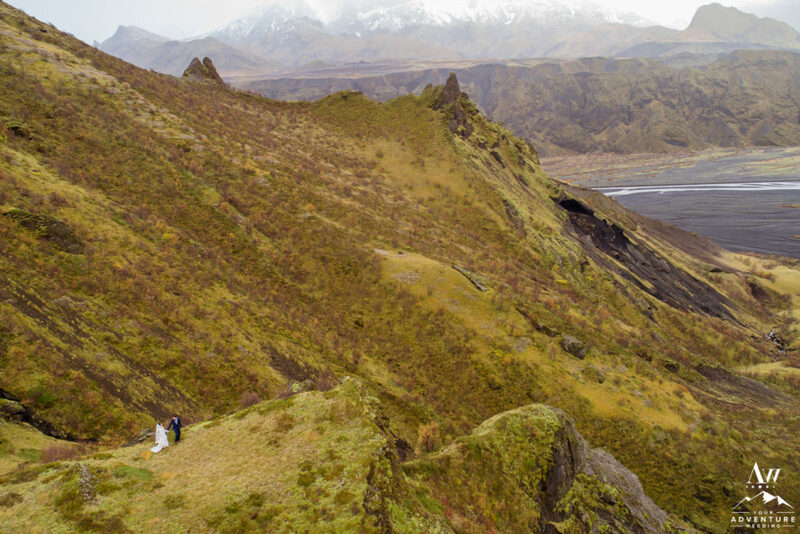 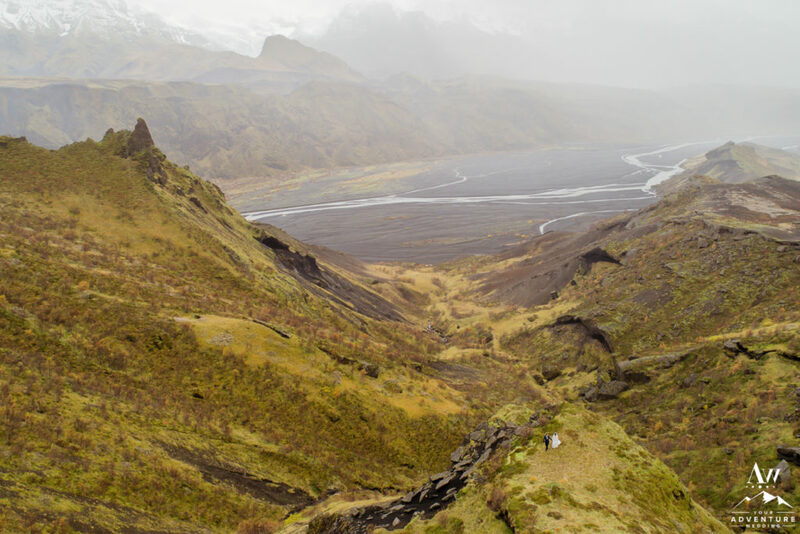 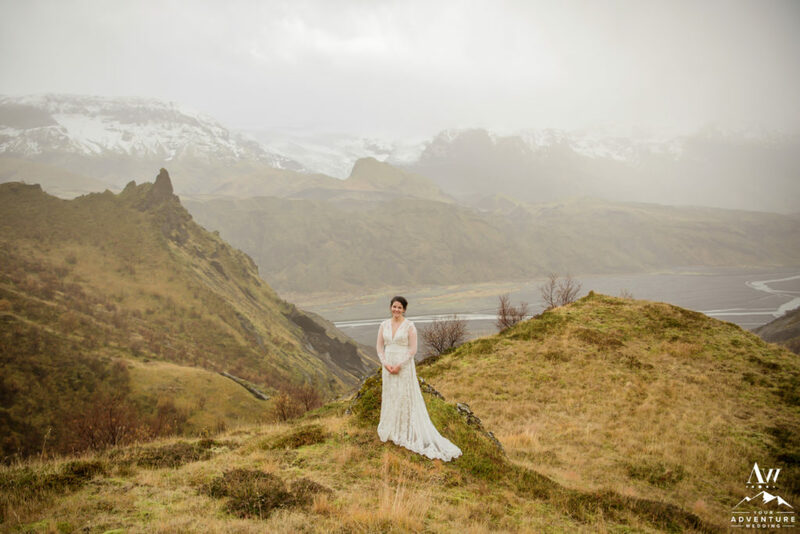 The Iceland elopement photographer did a mix of photos from both the ground and their drone. 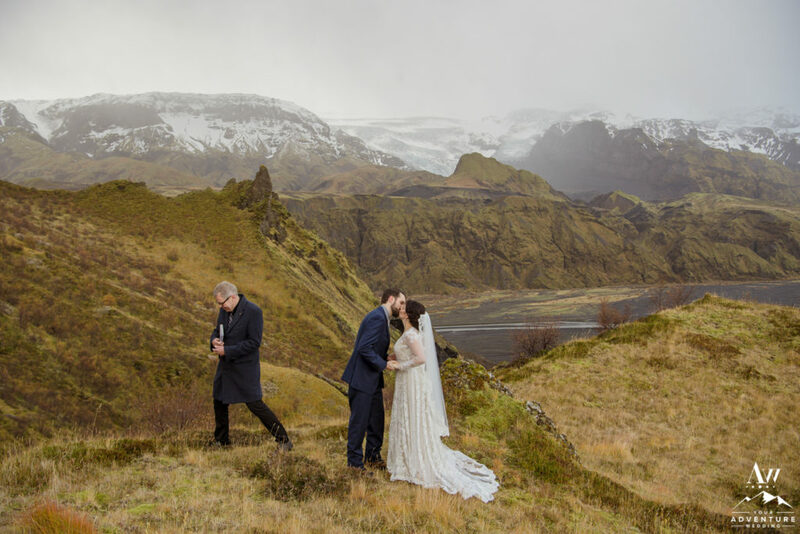 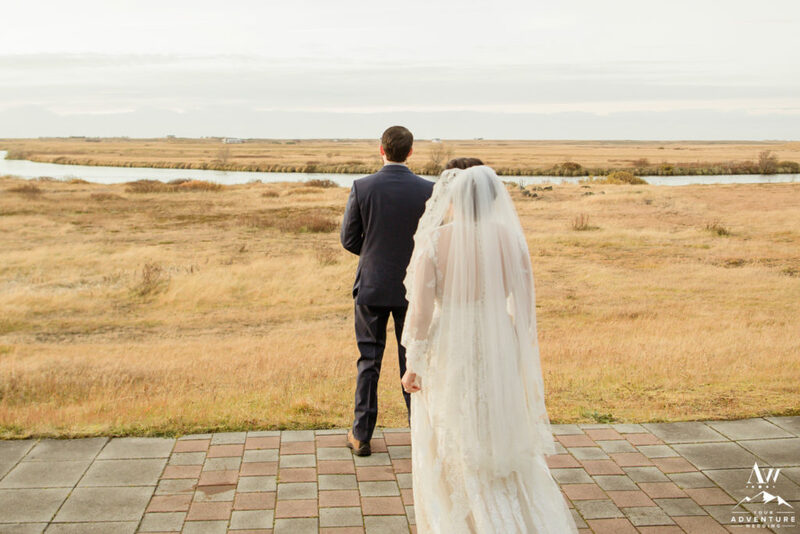 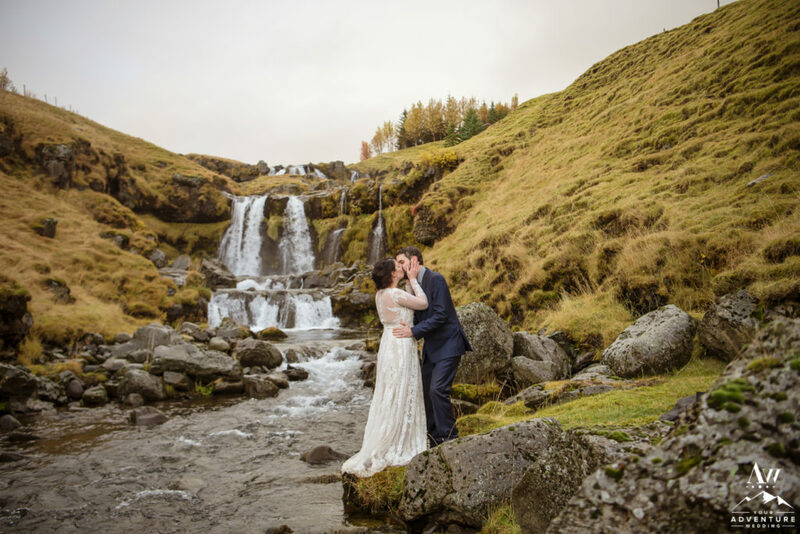 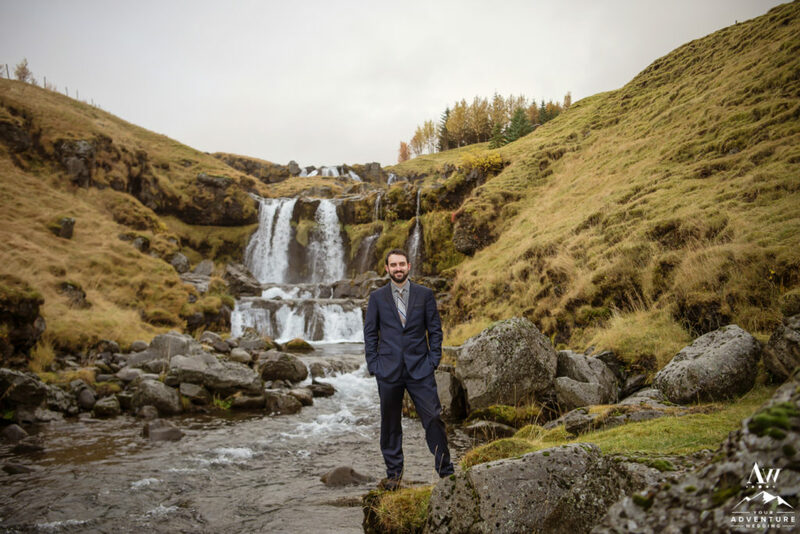 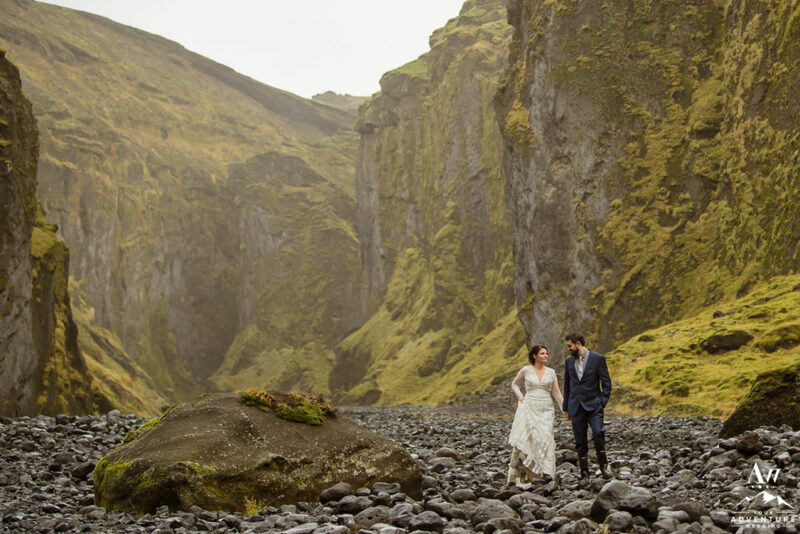 As a result, their Iceland wedding photos were stunning! 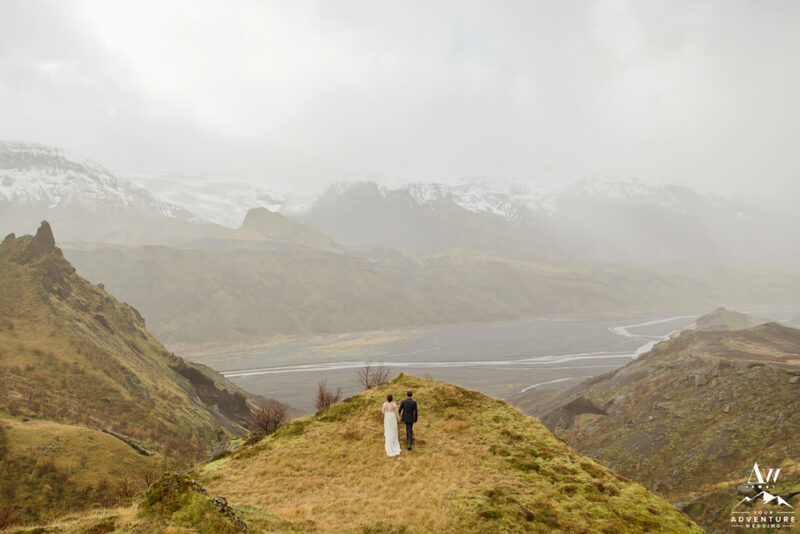 When hiking together is a foundational part of your relationship, it only makes sense to incorporate it into your mountain top wedding! 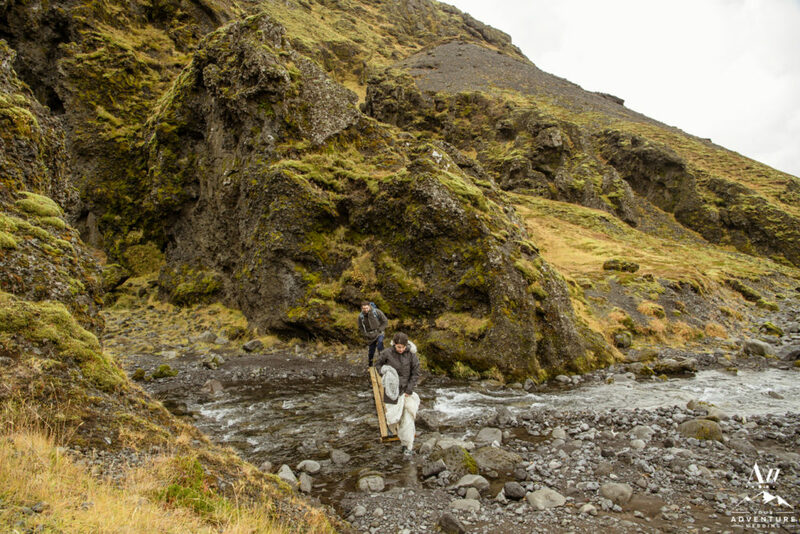 Throughout their dating escapades Casey and Zach went on countless trekking adventures together. 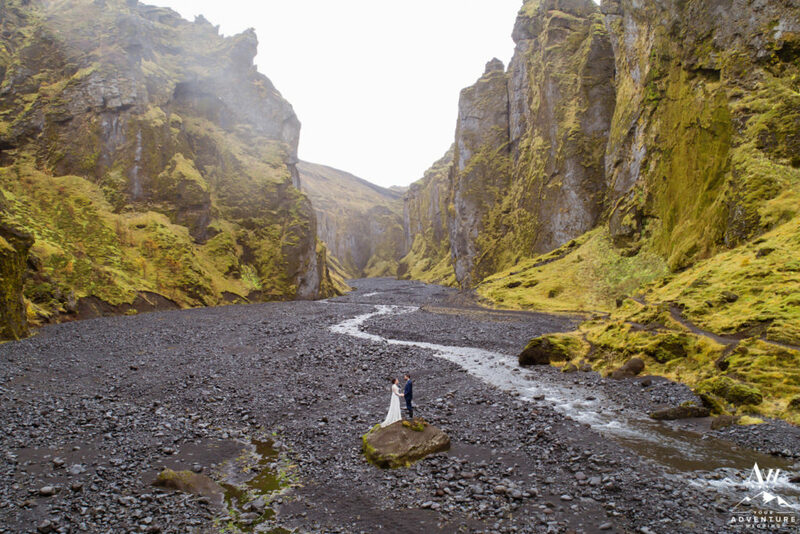 Although on the Iceland elopement day they wanted to keep their roaming one way under 30 minutes. 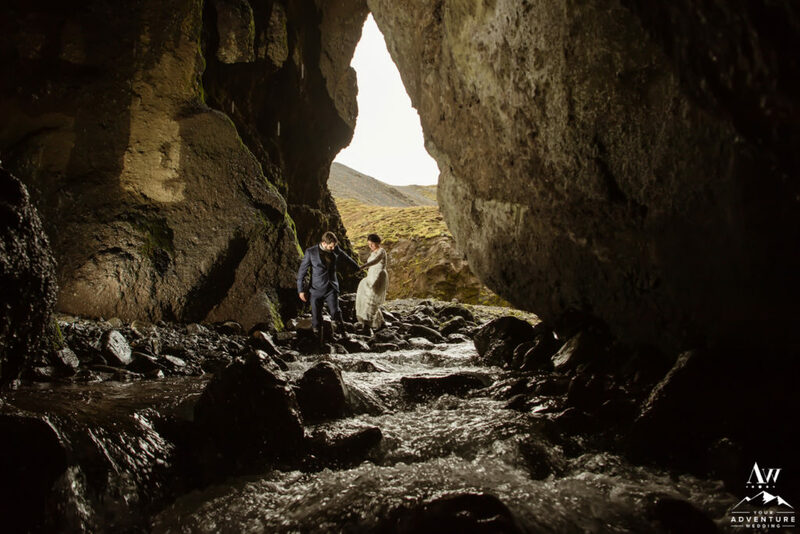 Mainly because they wanted to see more and action pack their day full of other experiences too! 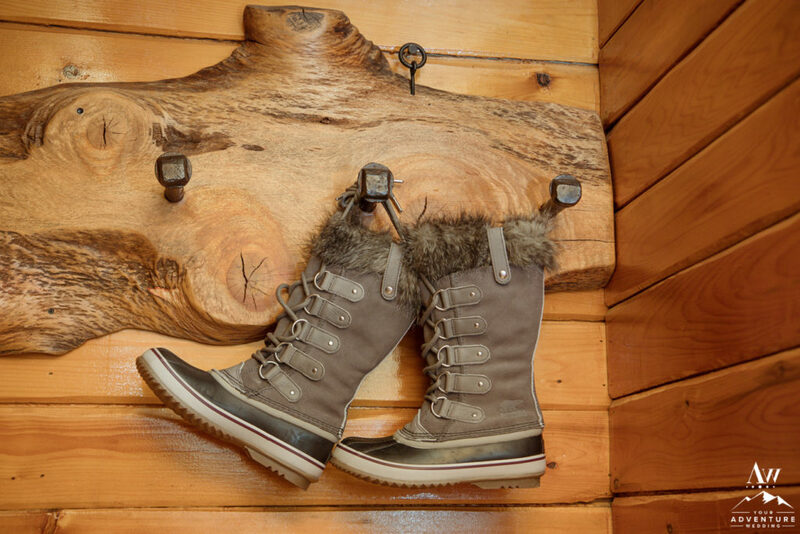 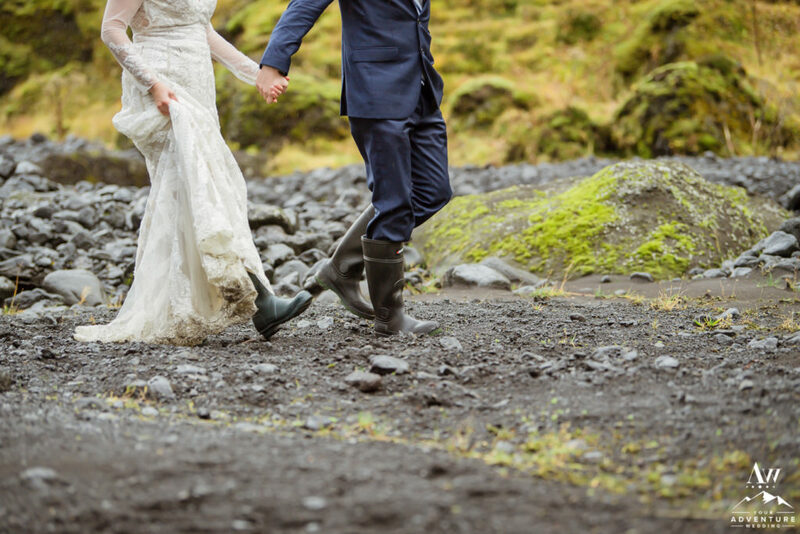 During their hiking elopement adventure they slide on their rubber boots on to cross several rivers! 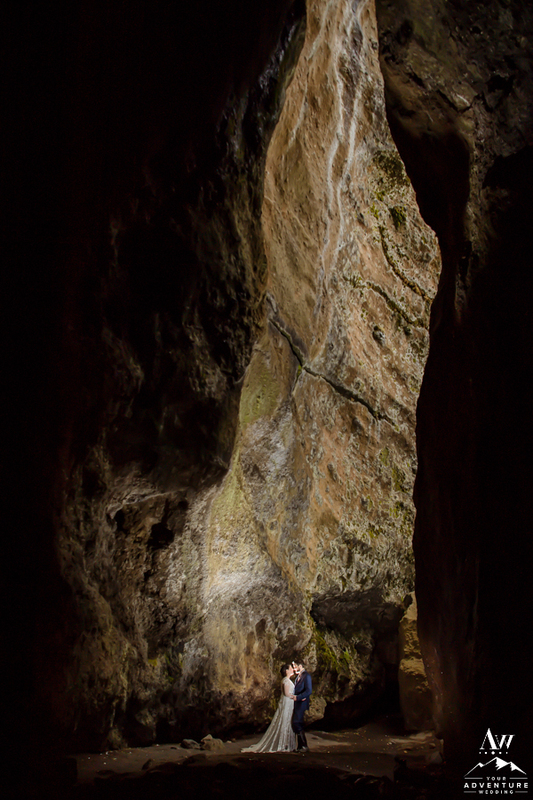 They freaking loved exploring the cave and canyon!! 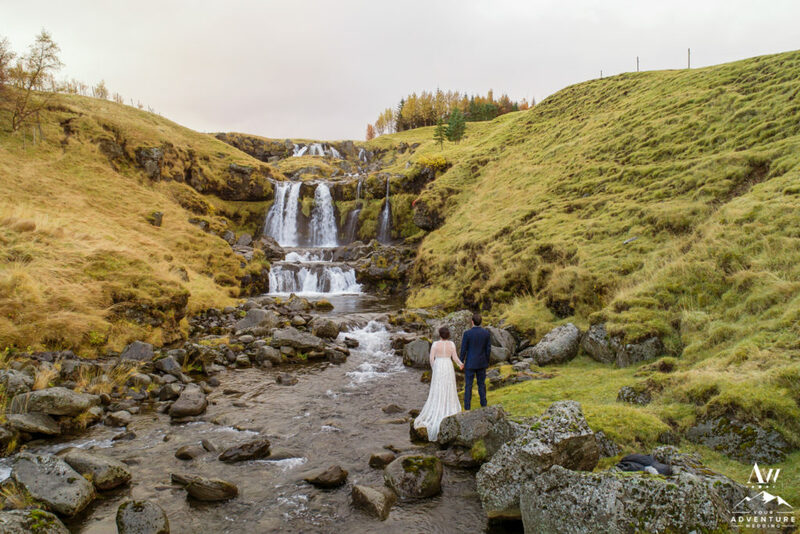 This fabulous Iceland wedding location also gave our adventurous elopement photographer the opportunity do some drone wedding photos! 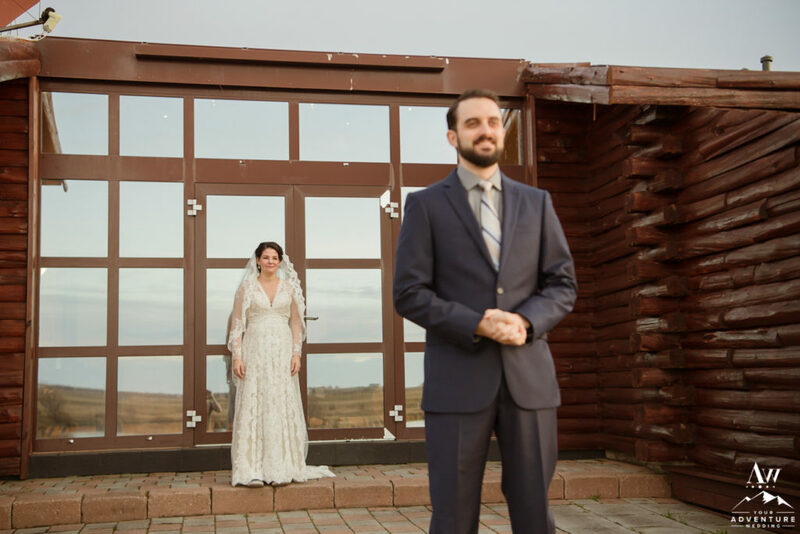 Such epic memories for Casey and Zach to cherish!! 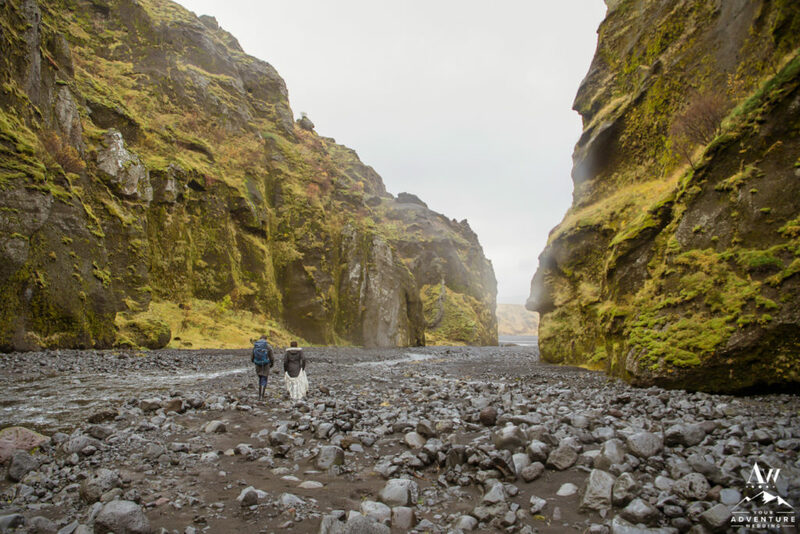 The highlands of Iceland are abundant with amazing unforgettable features. 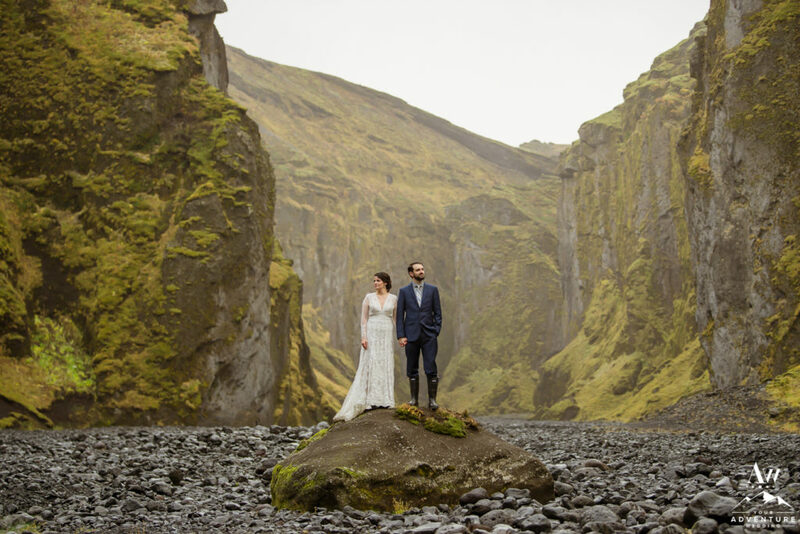 From stunning canyons, natural caves, and rivers that turn into waterfalls! 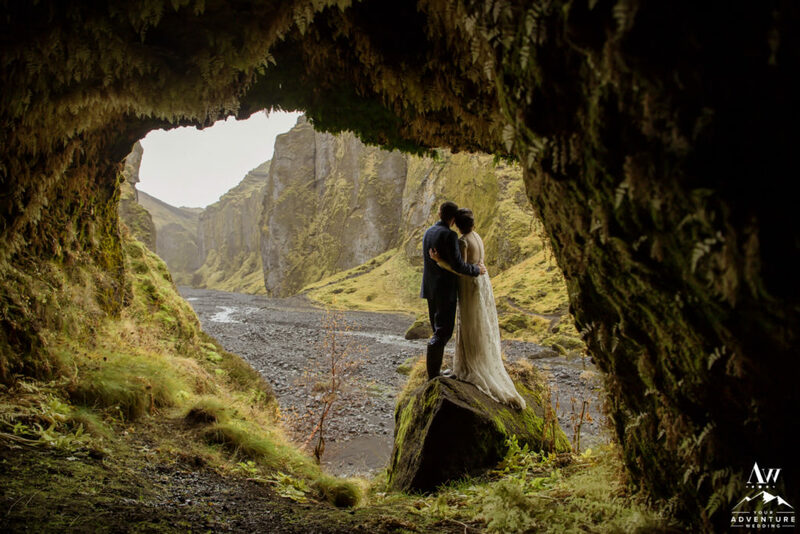 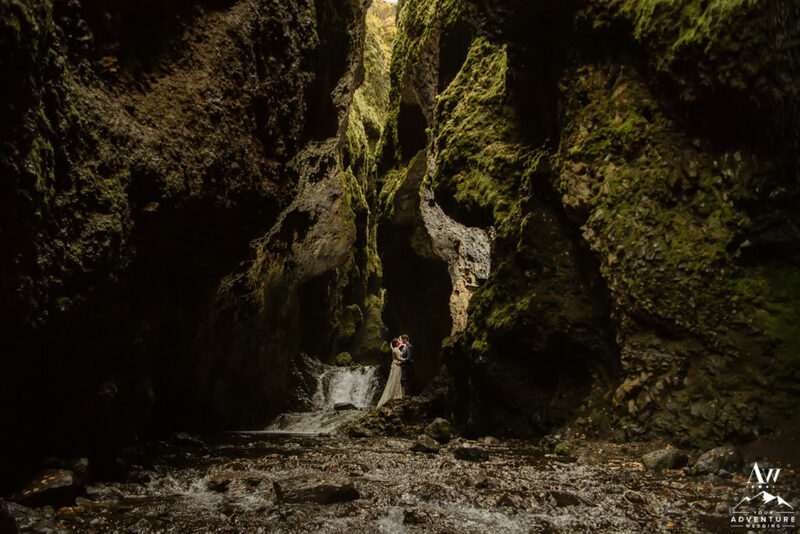 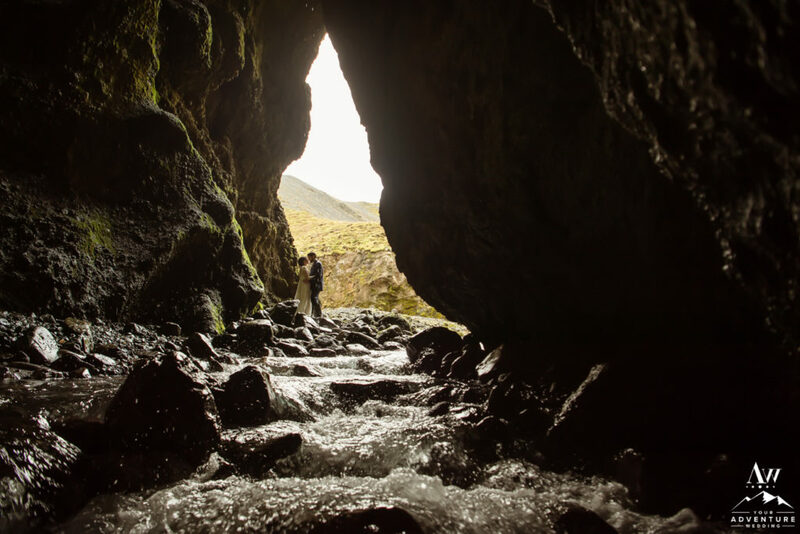 Imagine for your Iceland elopement package you get the amazing opportunity to experience some private canyons after your mountain top wedding! 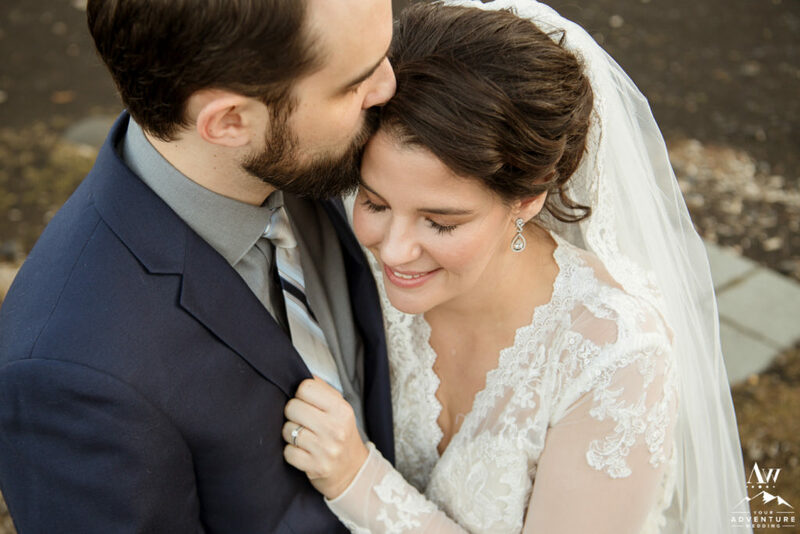 It was real life for Zach and Casey and they savored every single second of it! 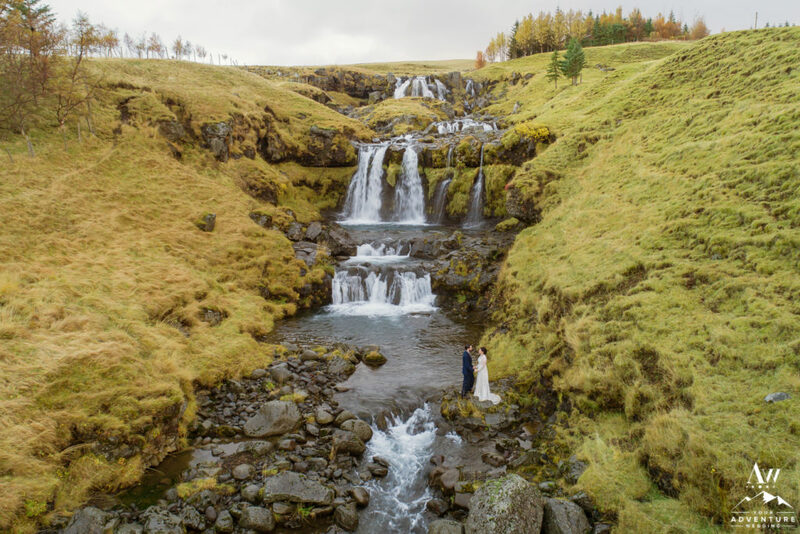 Personally, my favorite type of waterfall to explore after a stunning mountain top wedding are PRIVATE ones! 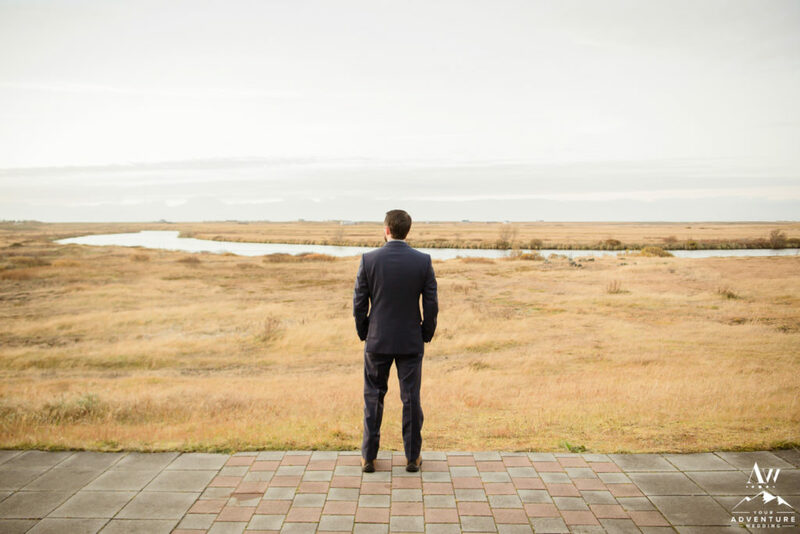 Nothing beats showing up and knowing there won’t be other people there. 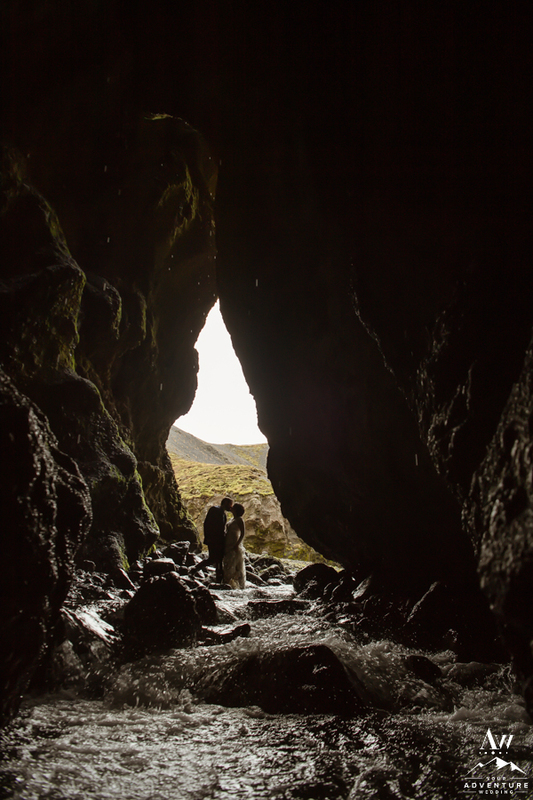 It only exists for you to explore hand in hand with the one you love! 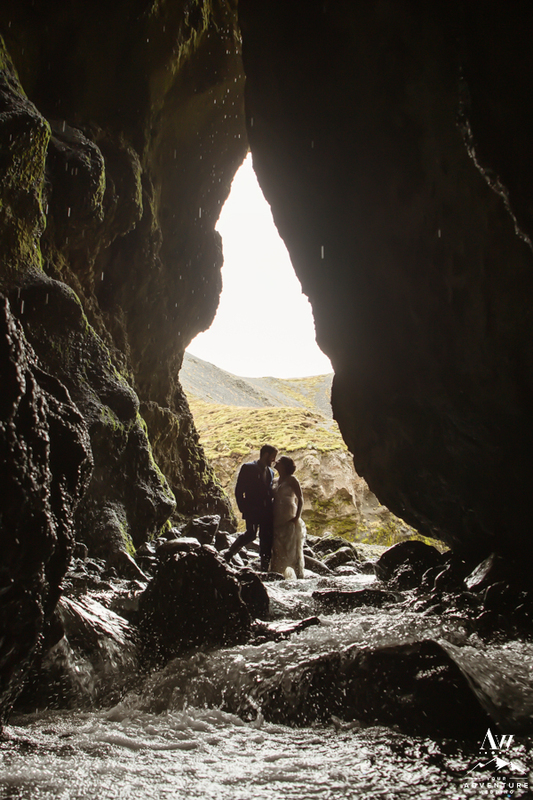 The feeling is powerful and extremely intimate. 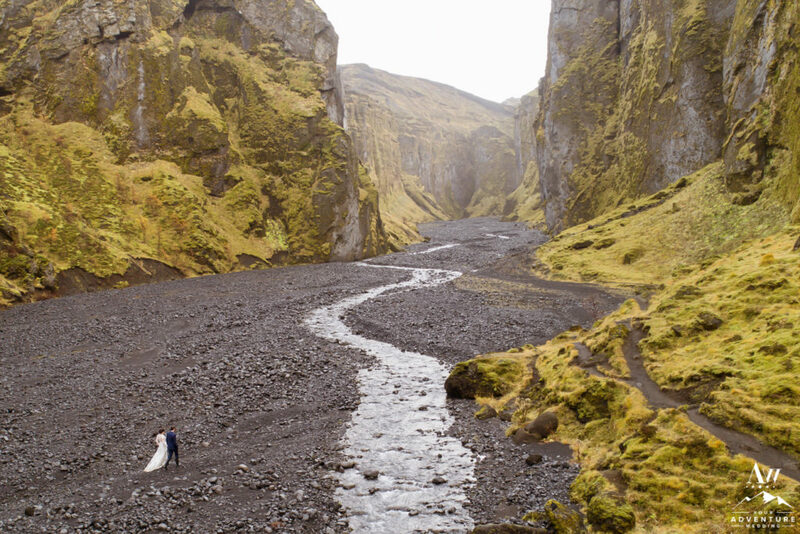 So who wouldn’t freaking want that EXPERIENCE?! 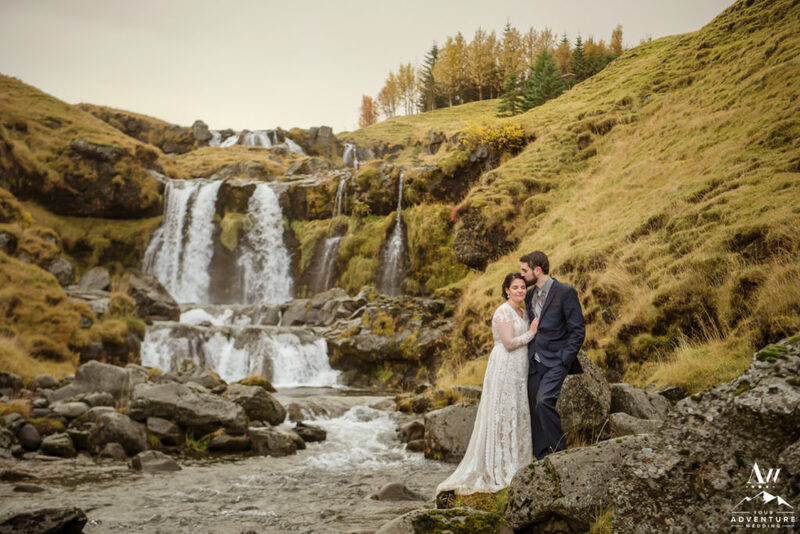 Lastly, our final location for the adventure portion of Casey and Zach’s was one of our favorite private waterfalls in Southern Iceland. 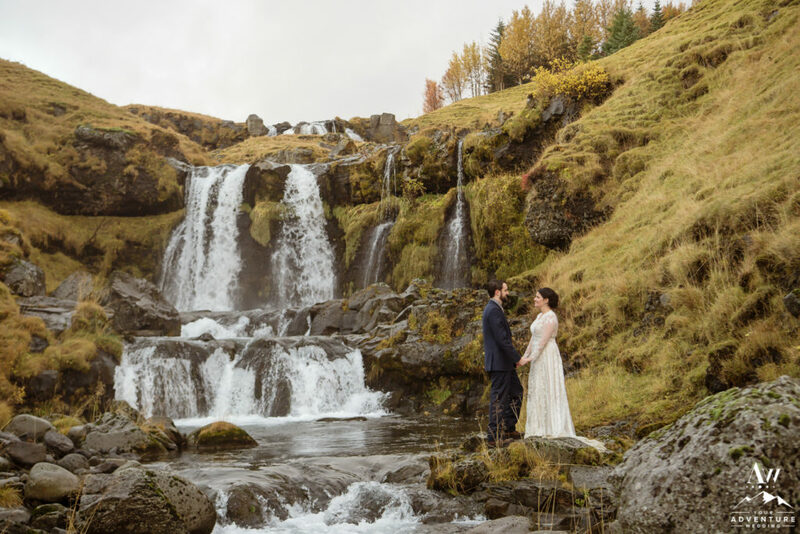 Fall colors were stunning at this Iceland private waterfall, which totally blew everyone’s minds too! 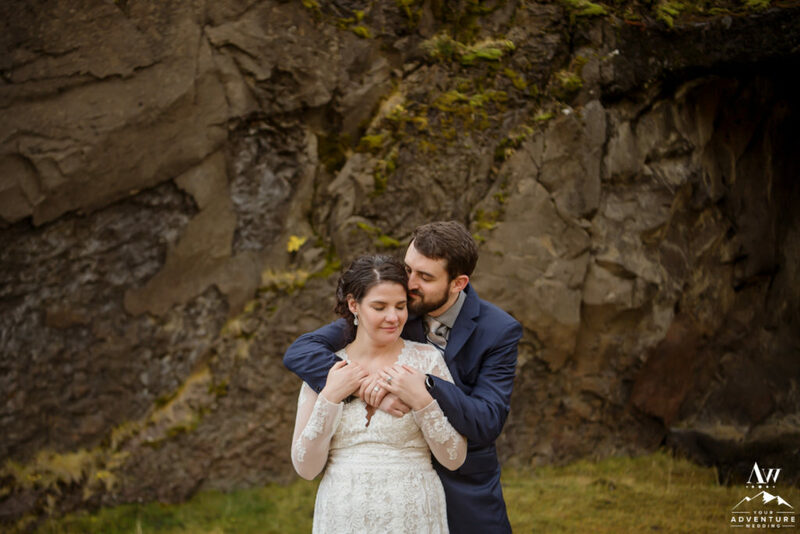 The rain came and went during their exploration time here and it just made the story more magnetic as they cuddled tighter! 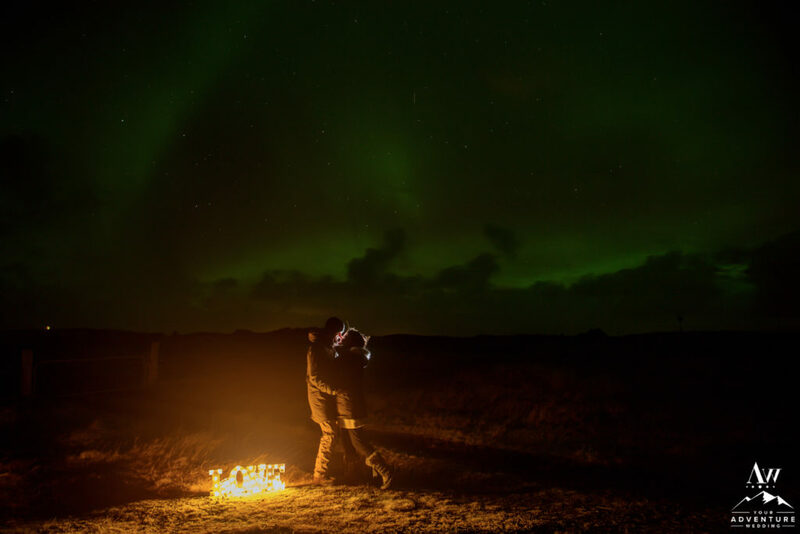 Entering into fall and specifically October, the Northern Lights are pretty active from our experience. 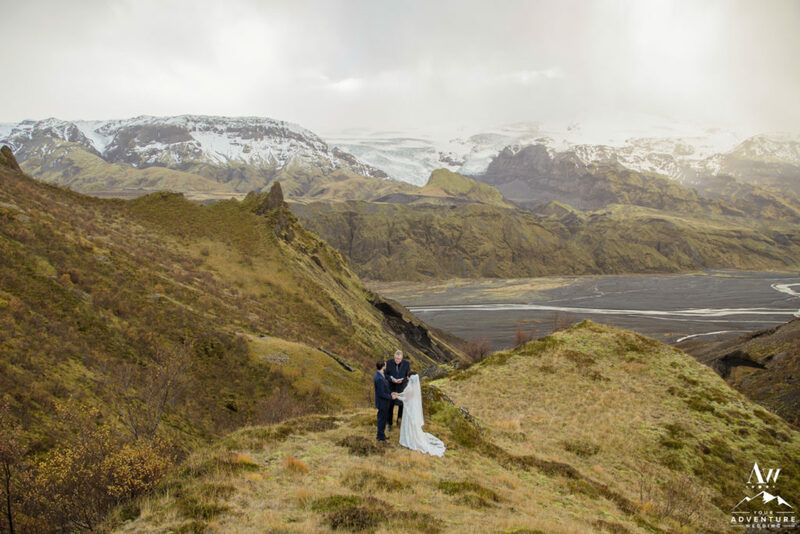 Being able to witness them on their wedding day was on Zach and Casey’s must do list. 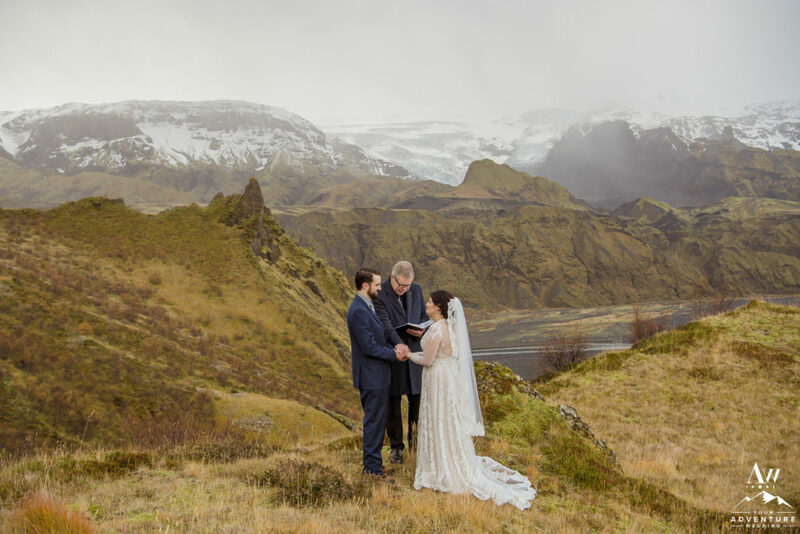 Luckily, although the forecast wasn’t super strong for them our team went out hunting for them with the newlyweds and found them! 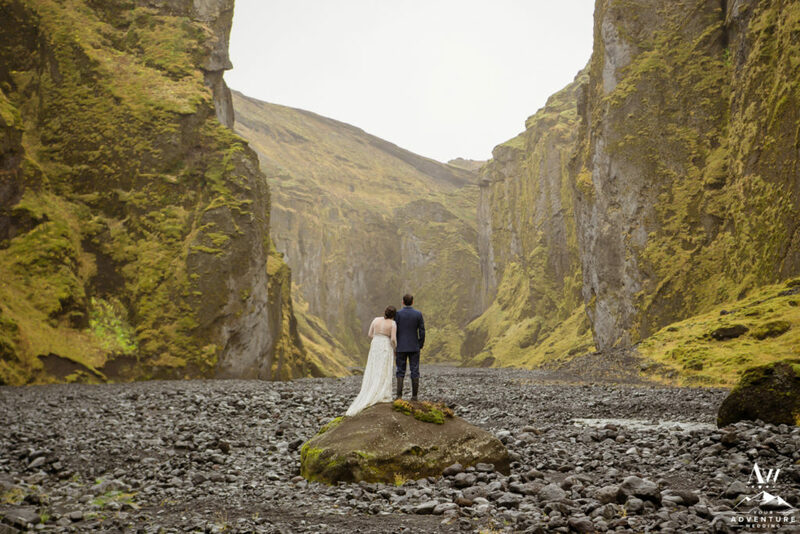 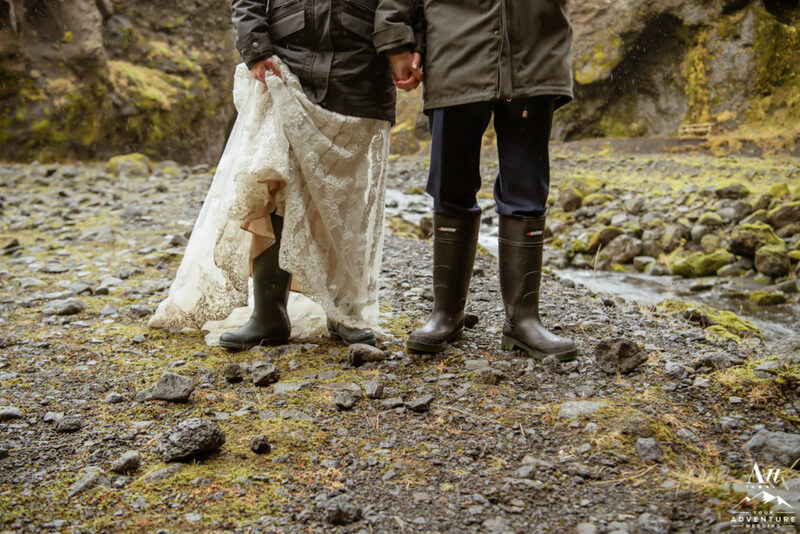 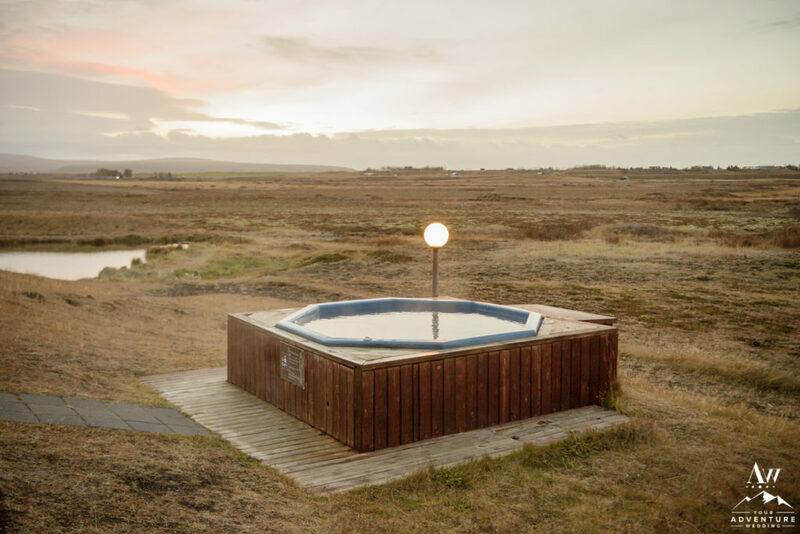 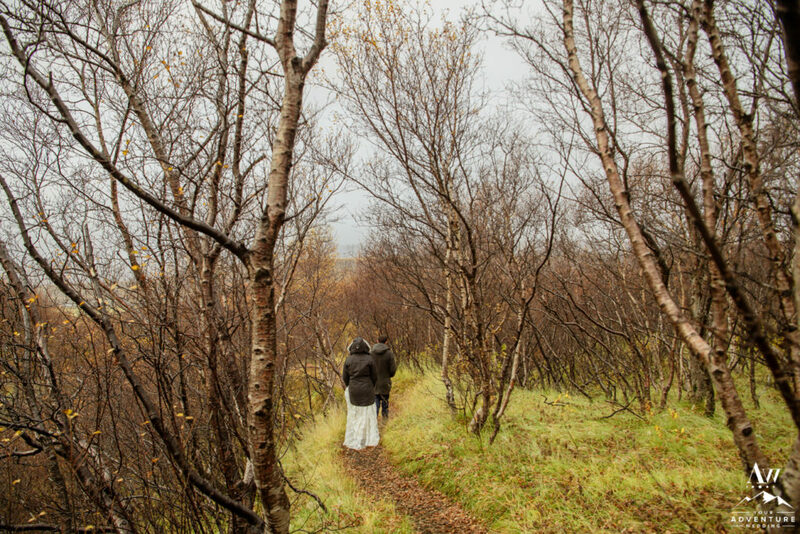 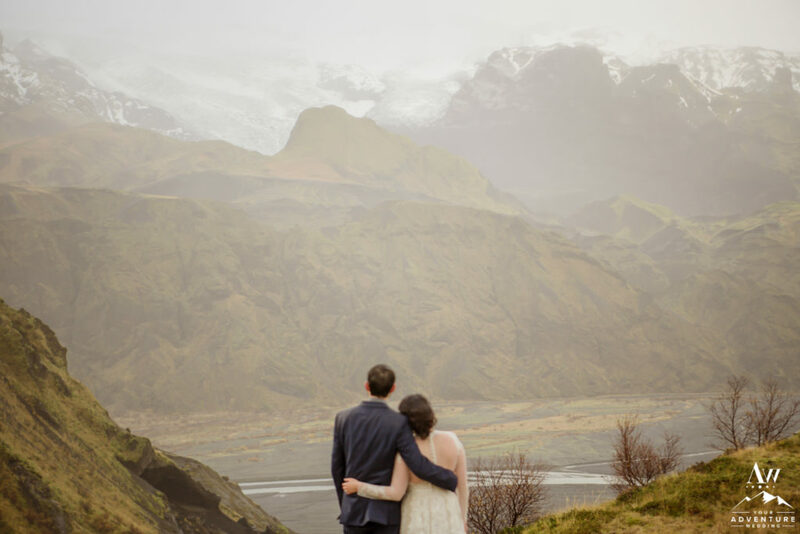 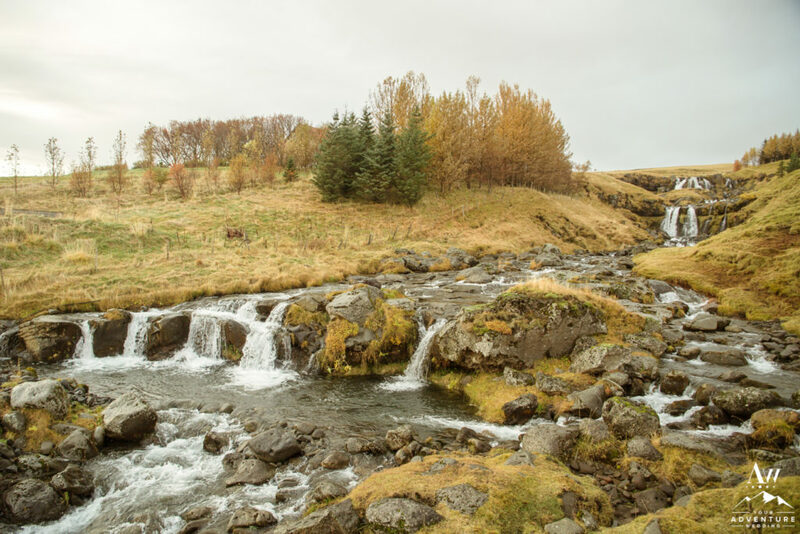 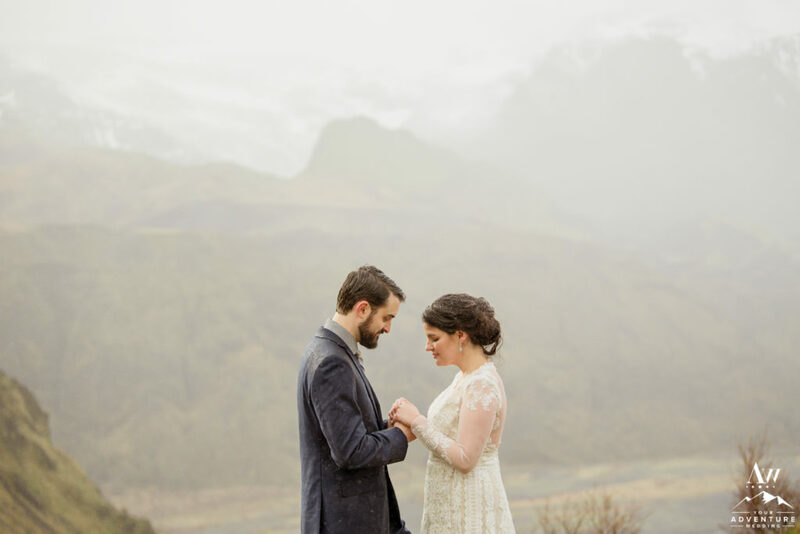 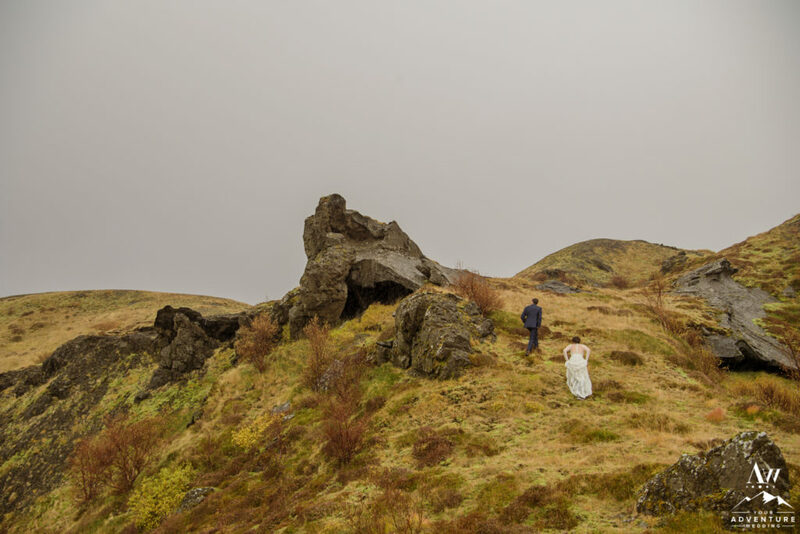 After our Iceland elopement photographer captured them, they just sat and watched them. 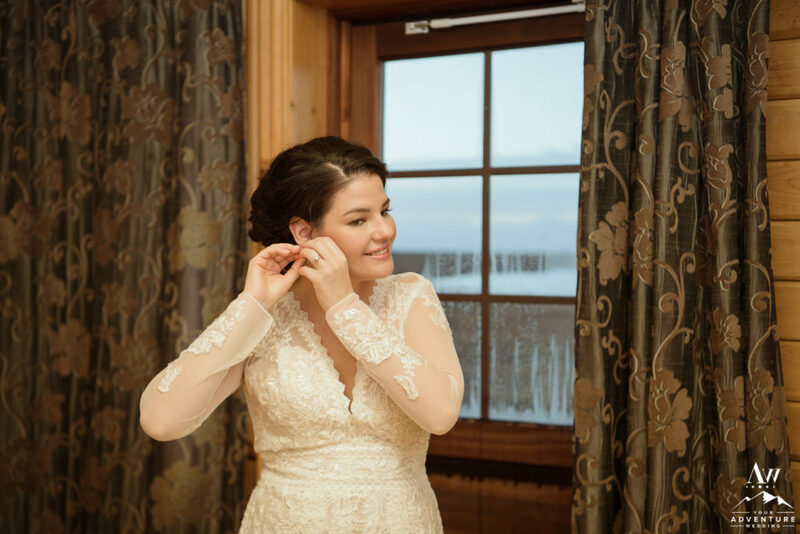 There is something to be said about just experiencing them and being in the moment! 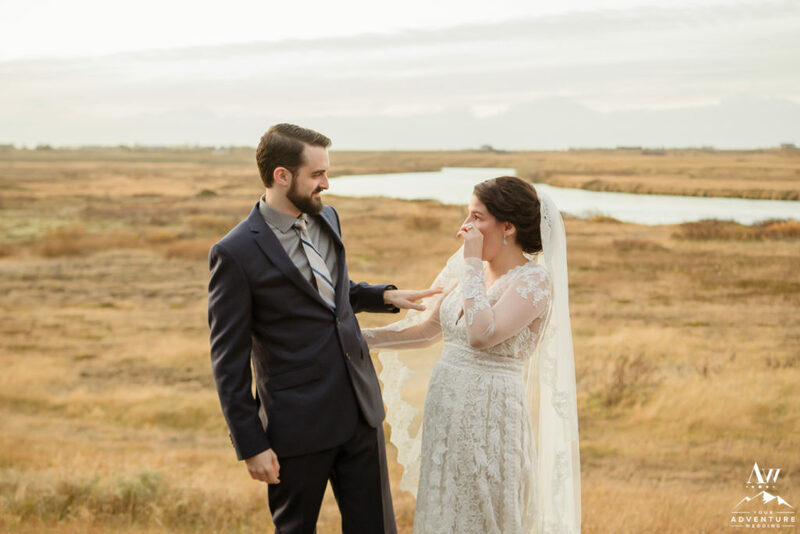 Total bliss! 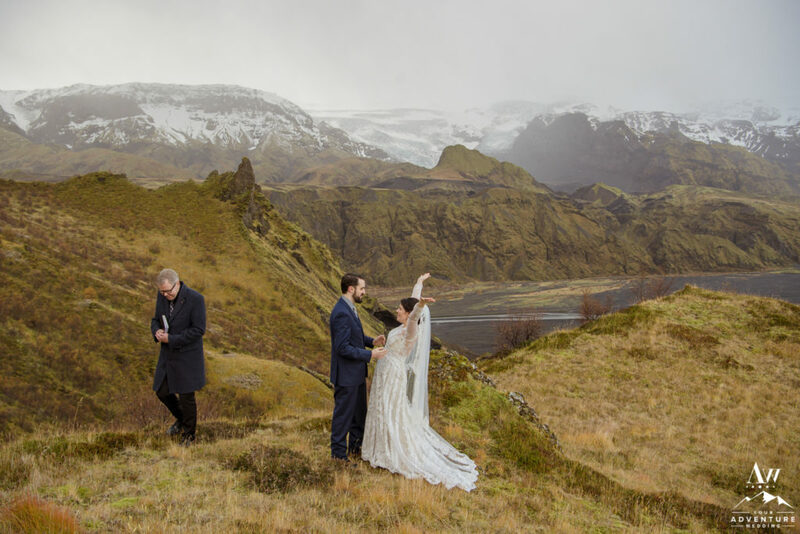 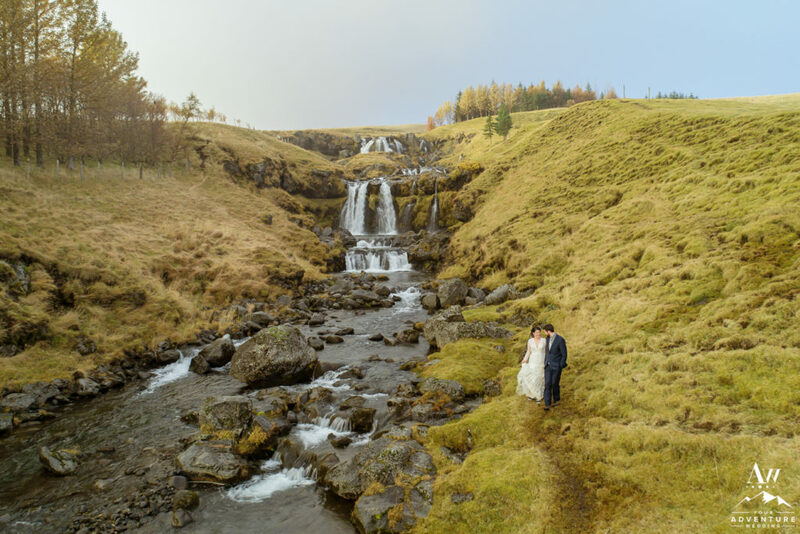 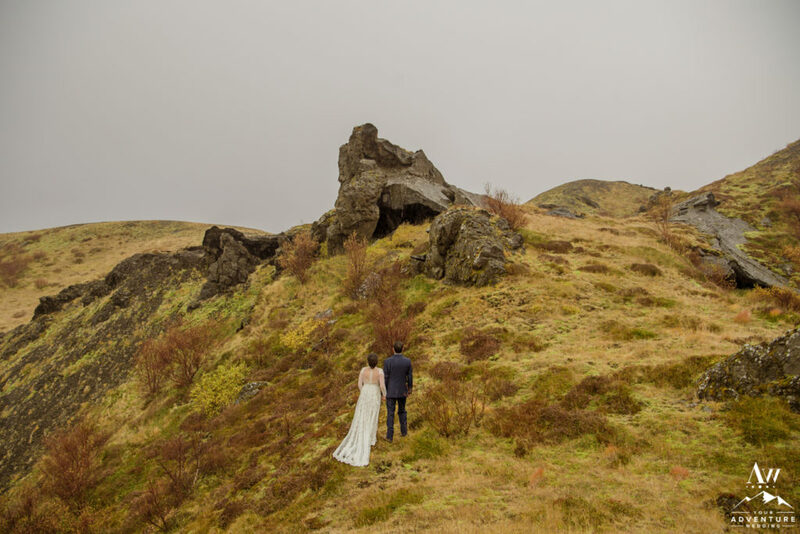 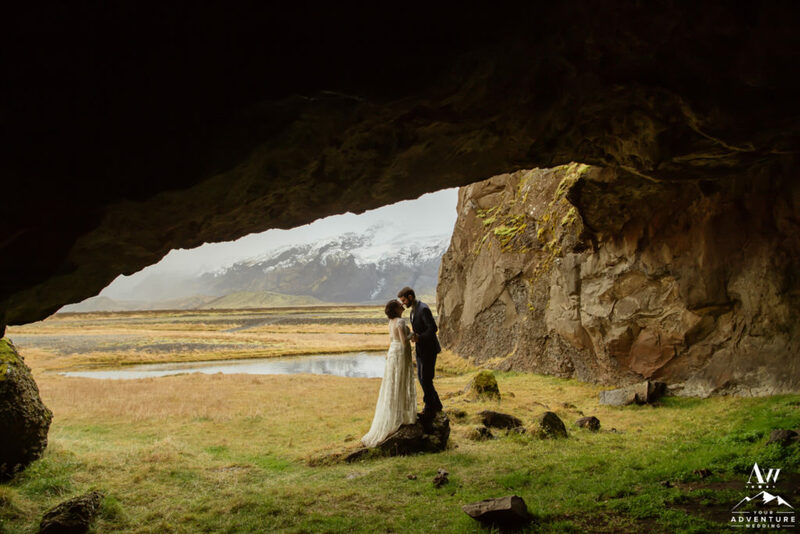 If you’ve had a ton of fun experiencing Casey and Zach’s mountain top wedding adventure in Iceland and would love something similar for your own…. 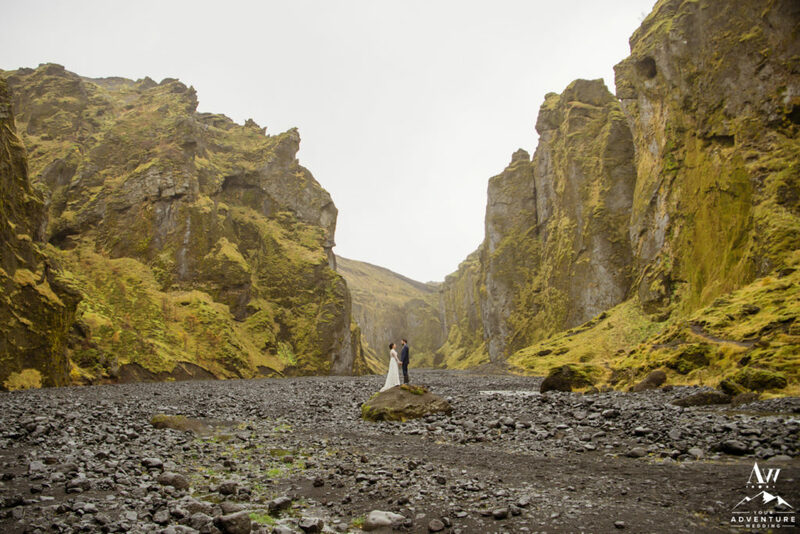 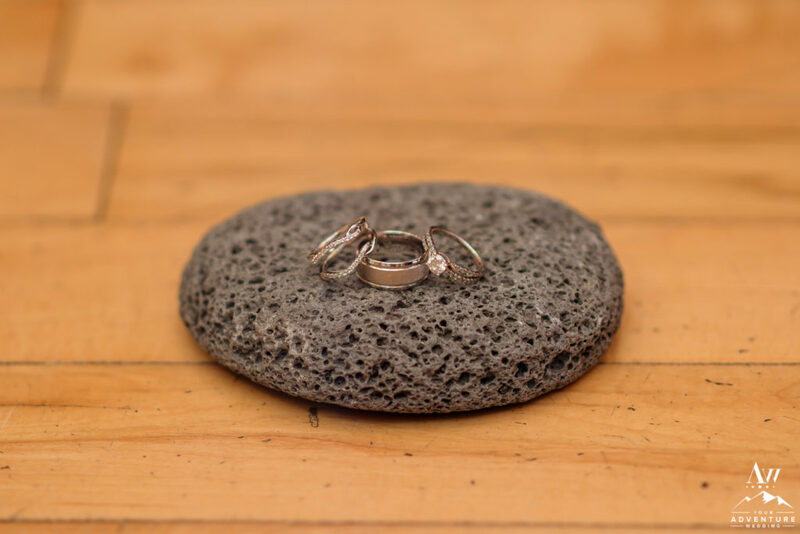 Contact us for more information on possibly crafting your own private elopement adventure! 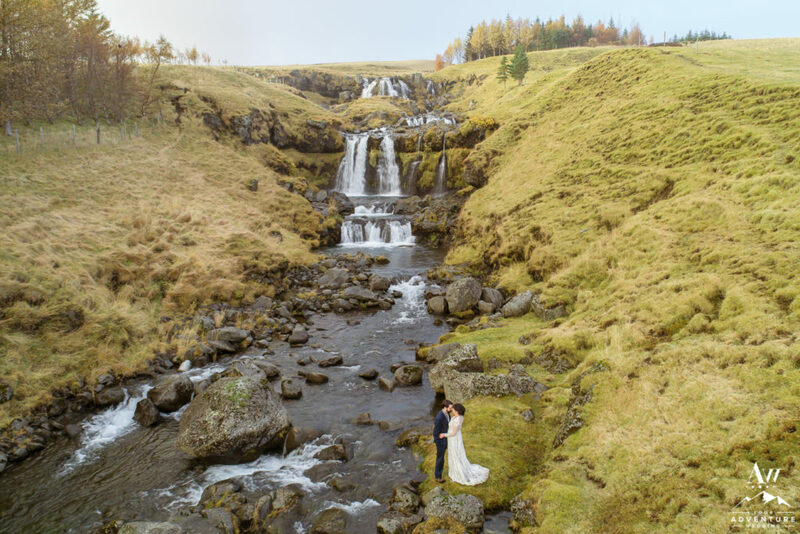 We would love to meet you, see if see if our team would be a good fit for you and if you’re ready for our adventure wedding concept! 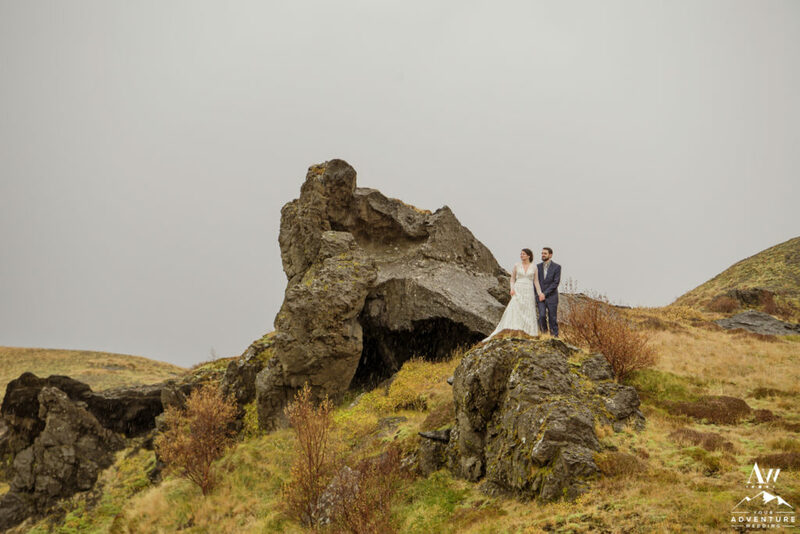 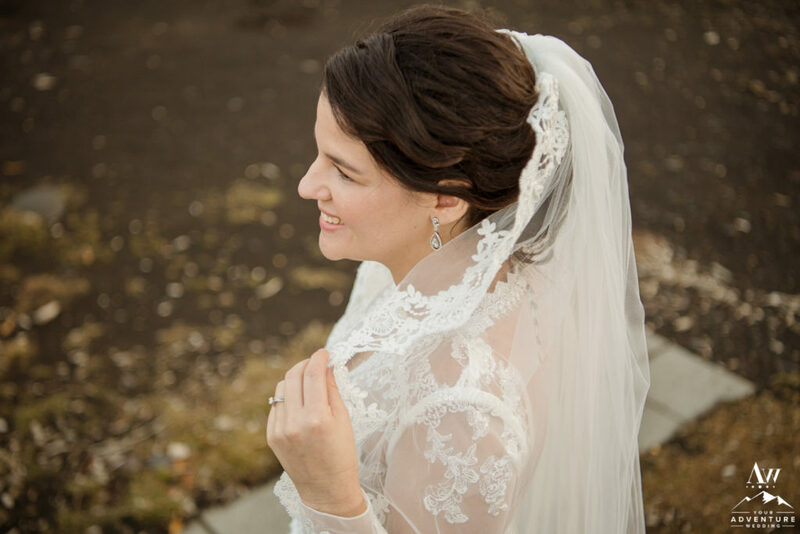 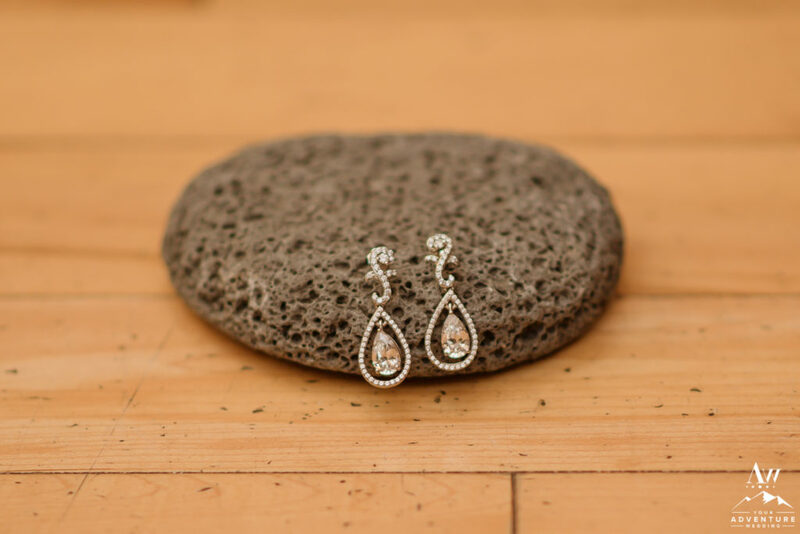 © 2019, Photos by Miss Ann / Iceland Wedding Planner, All Rights Reserved.